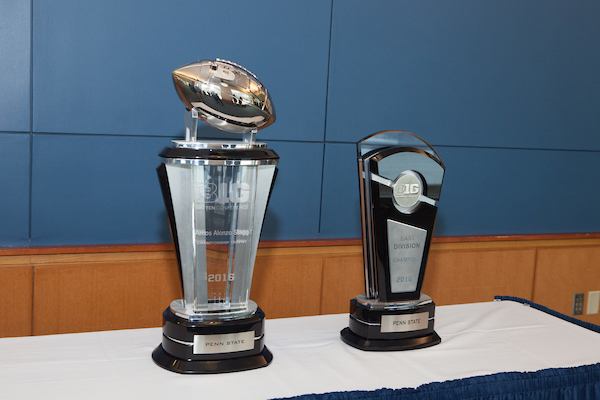 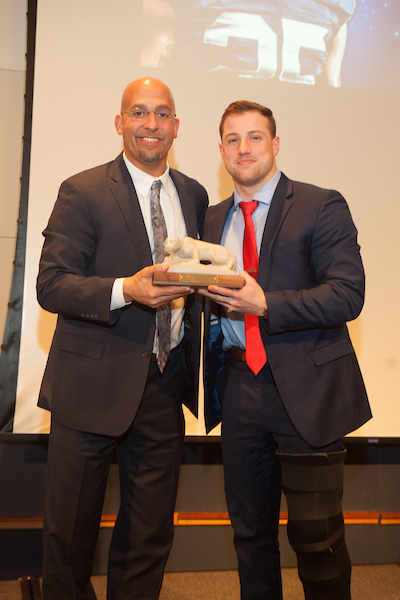 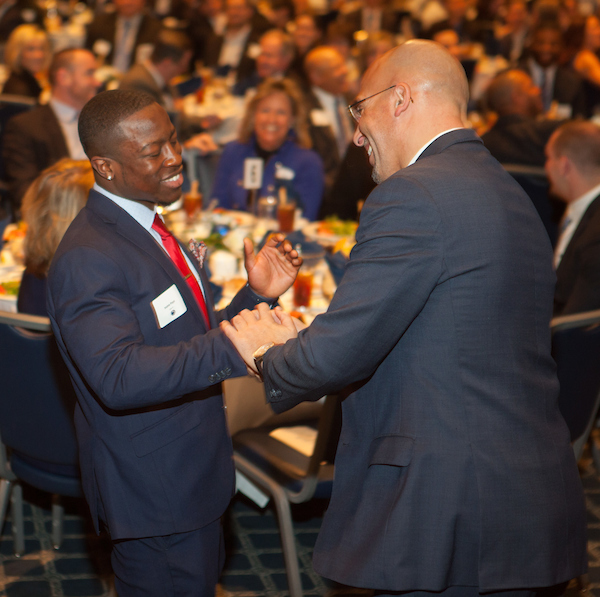 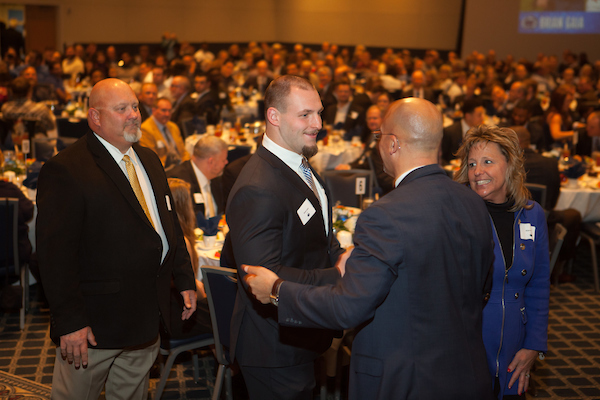 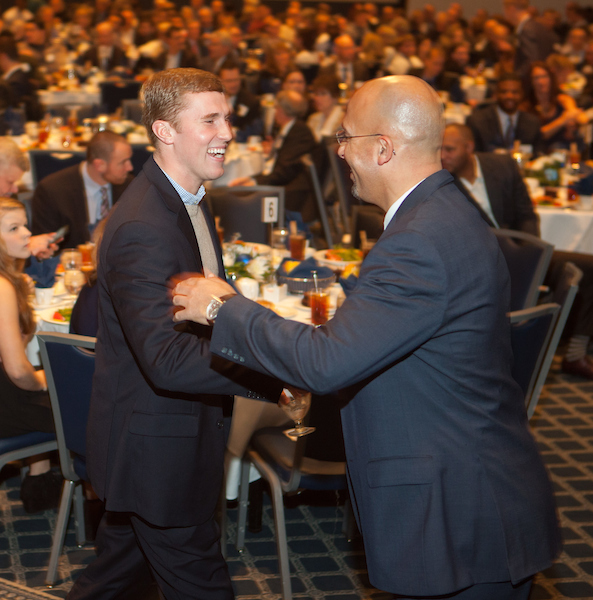 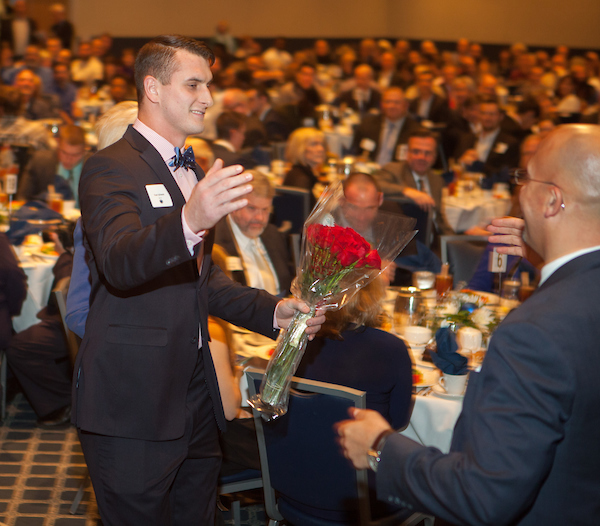 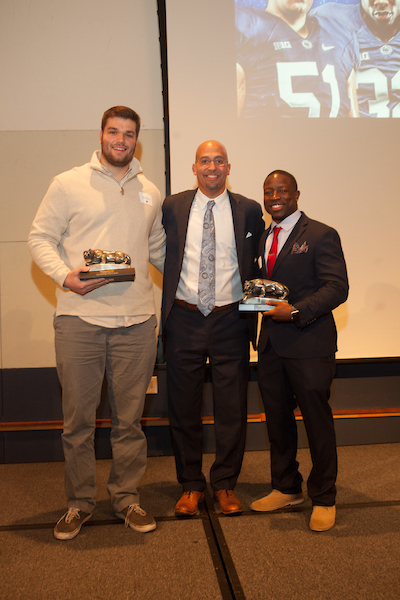 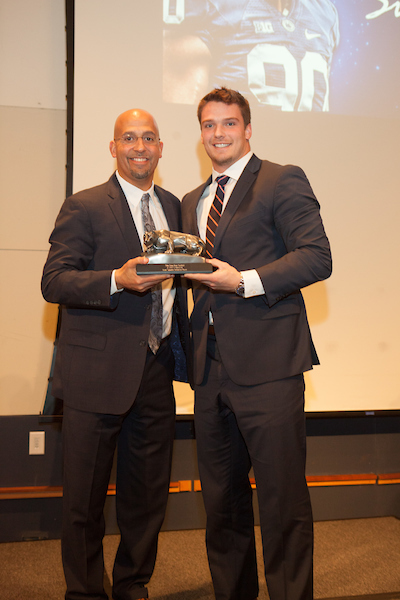 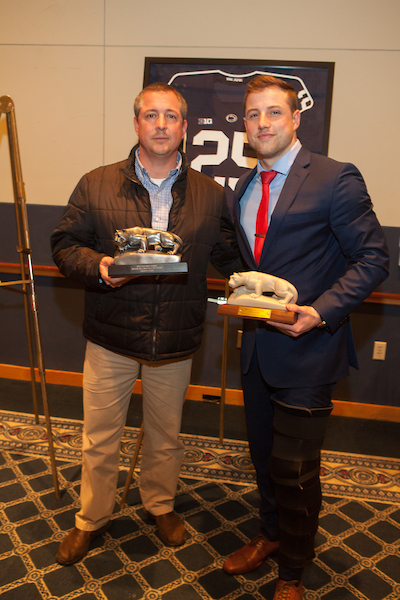 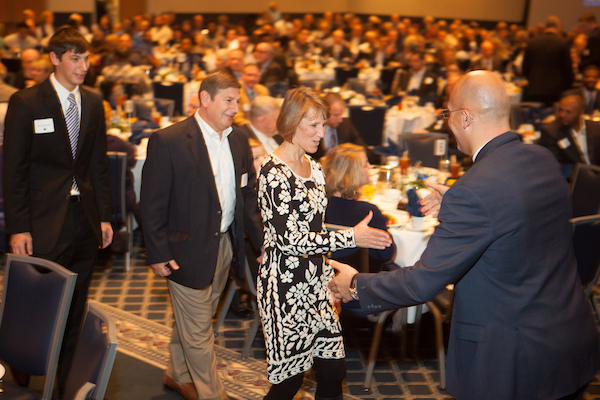 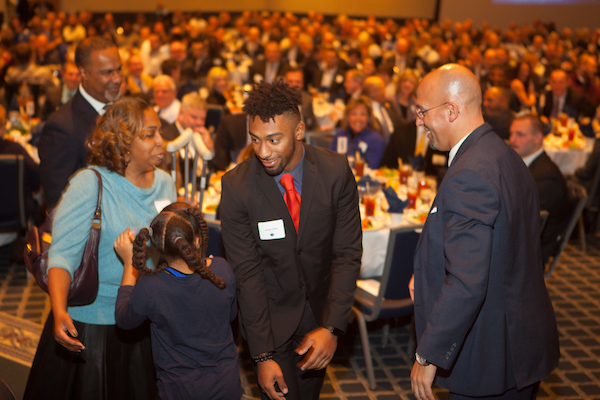 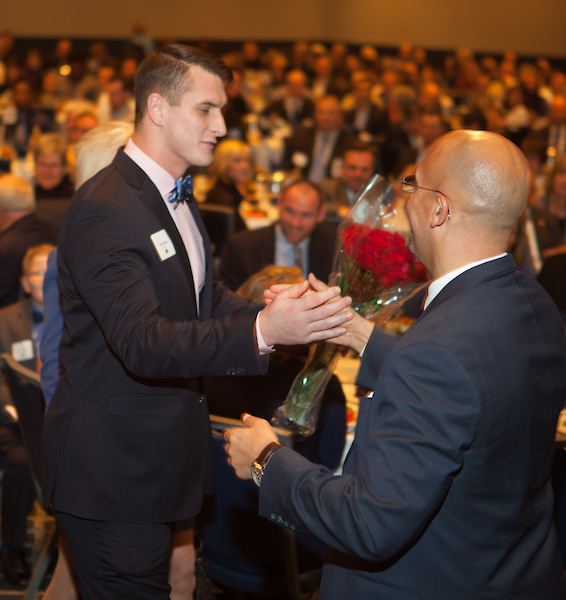 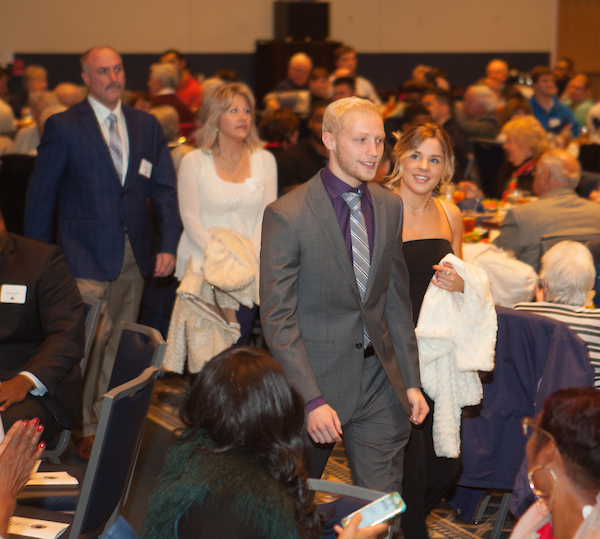 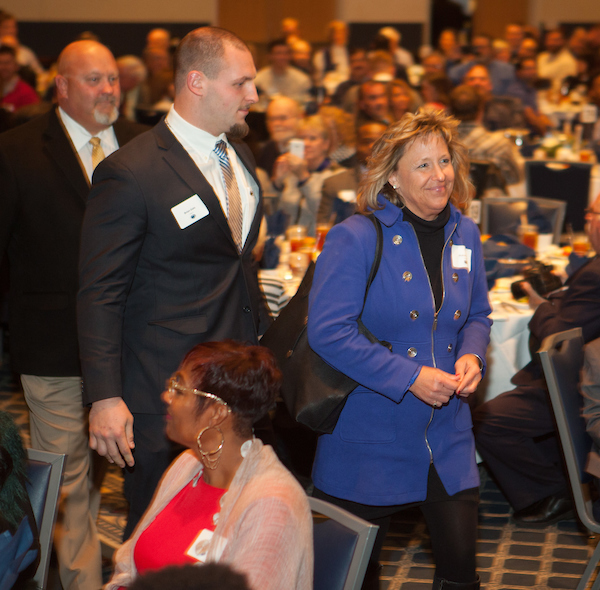 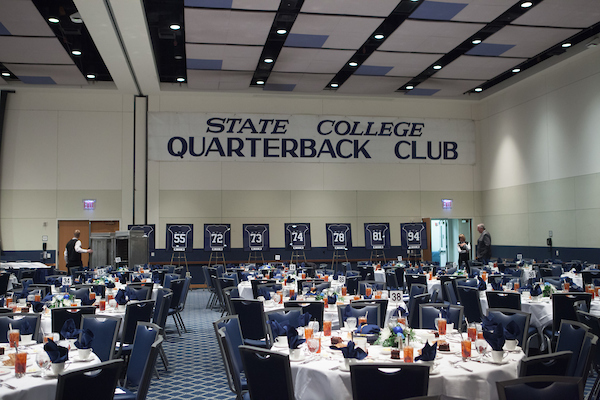 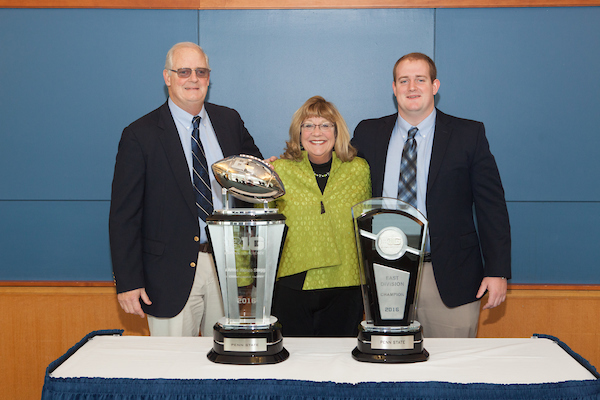 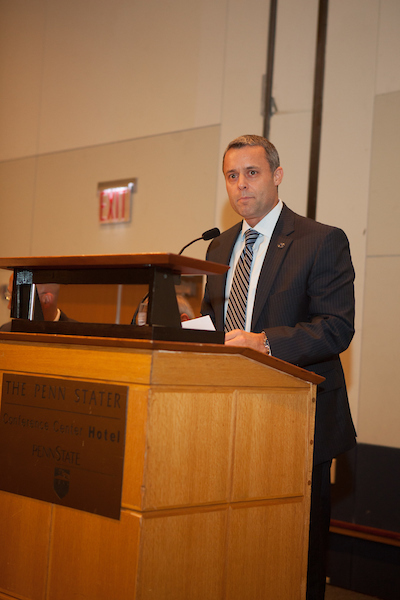 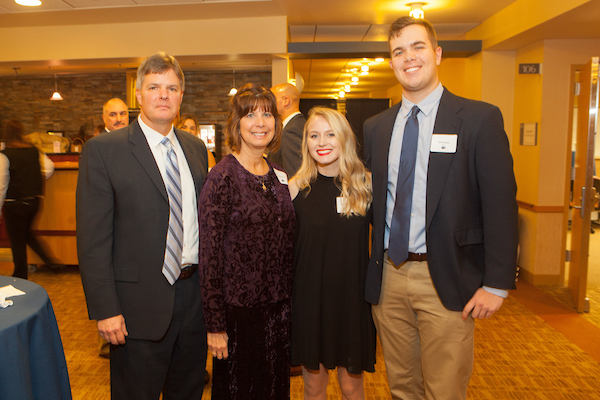 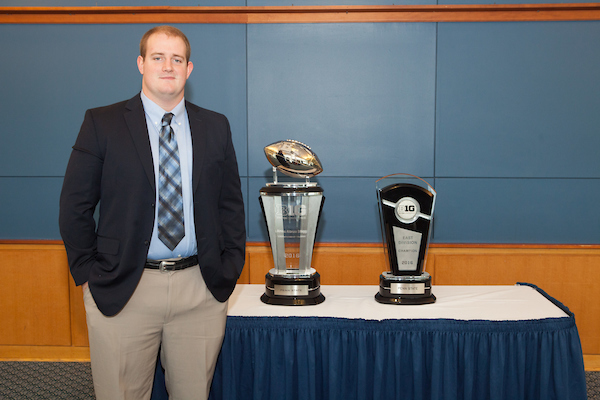 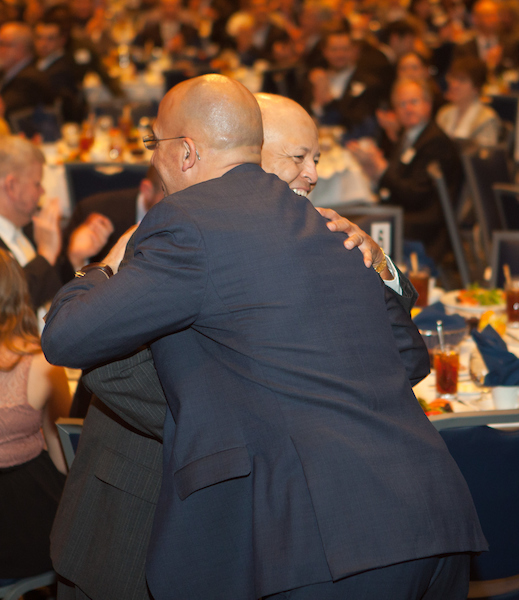 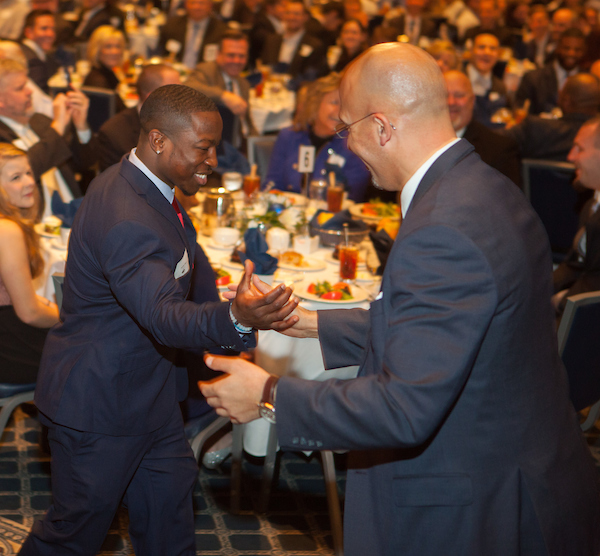 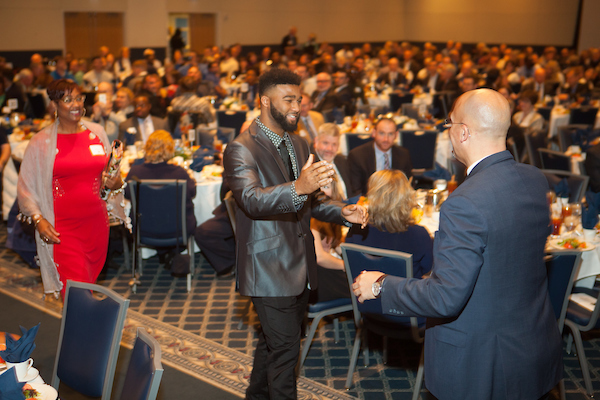 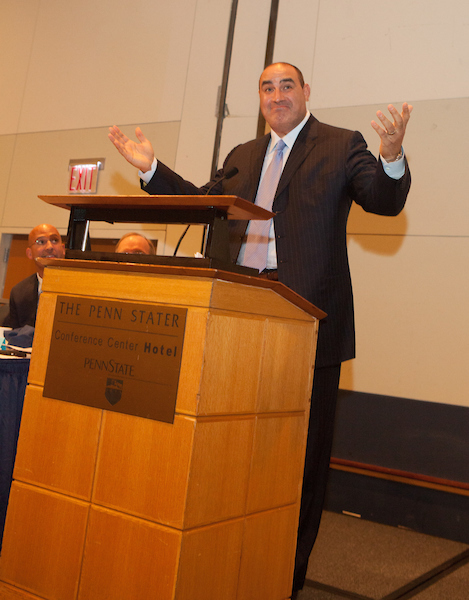 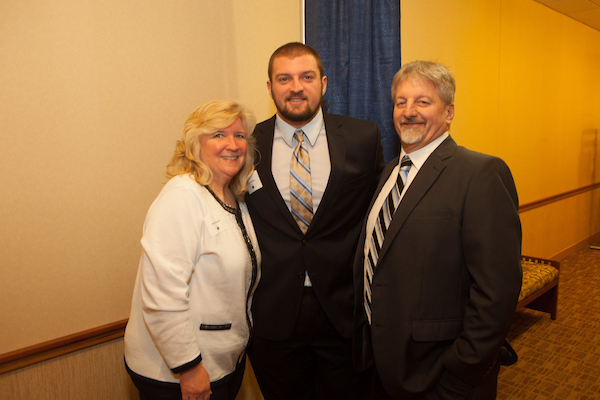 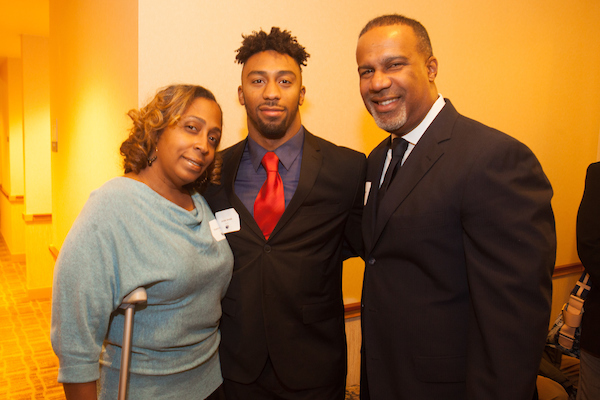 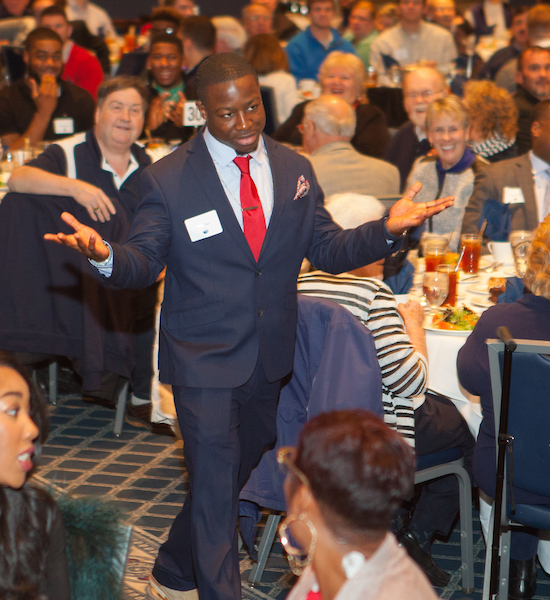 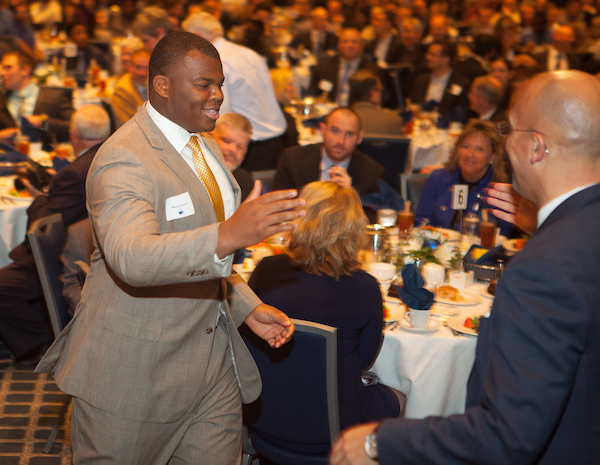 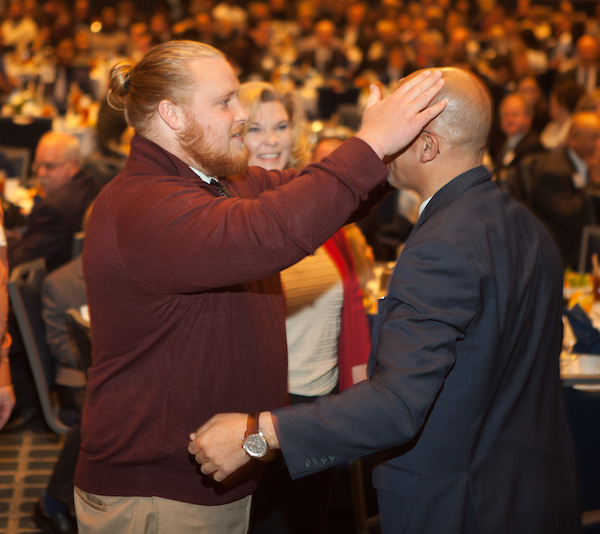 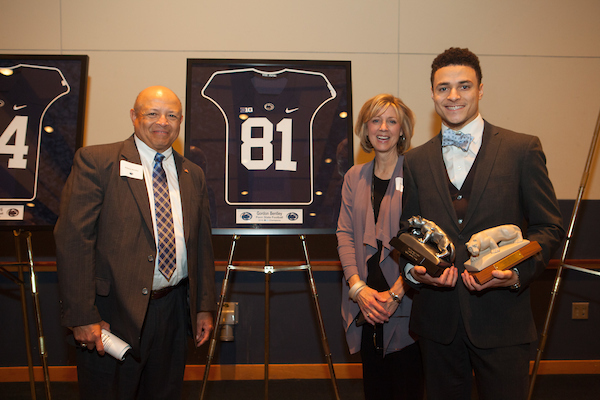 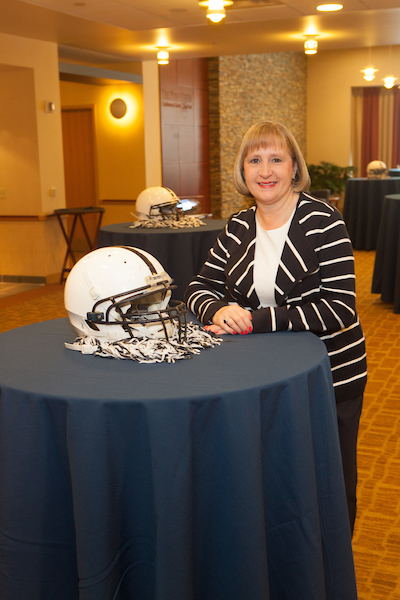 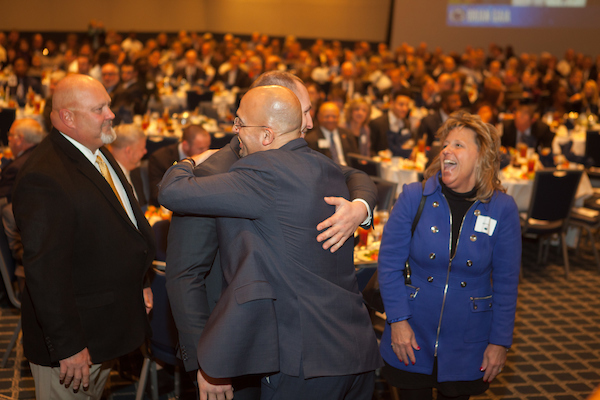 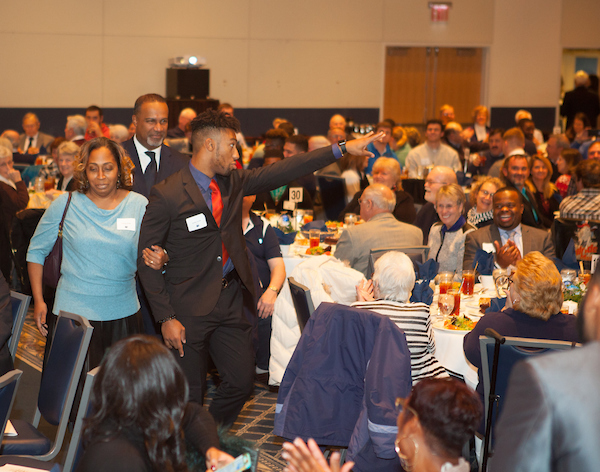 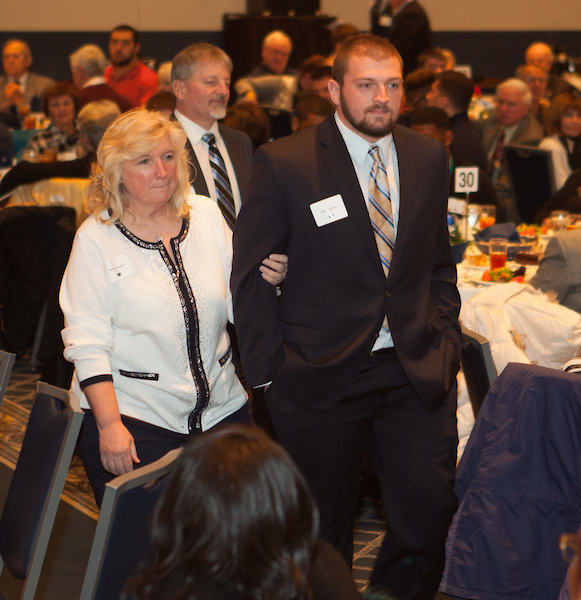 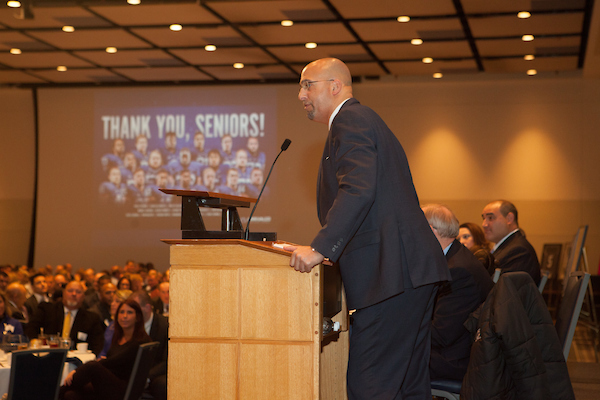 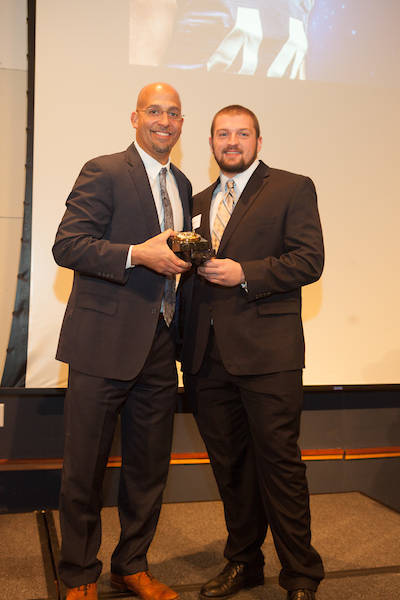 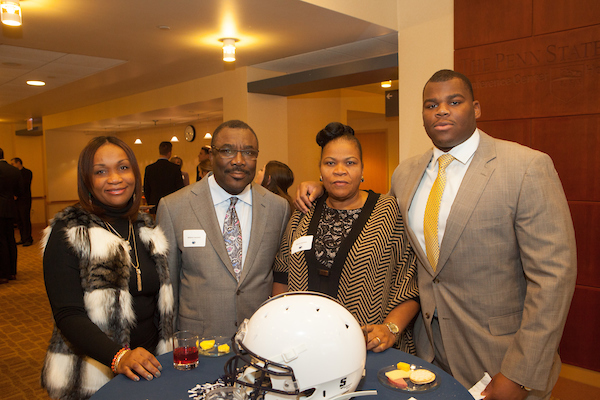 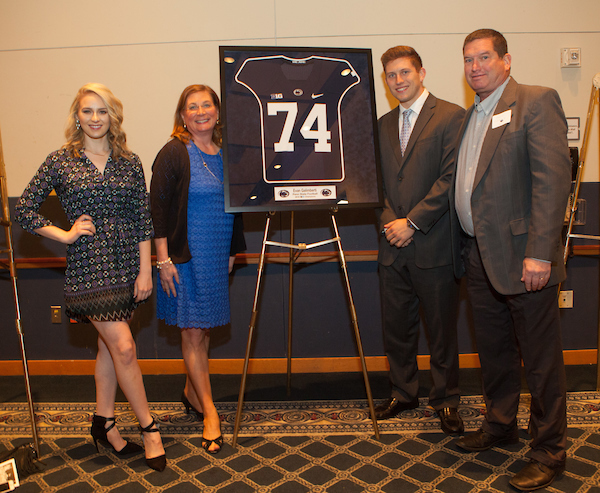 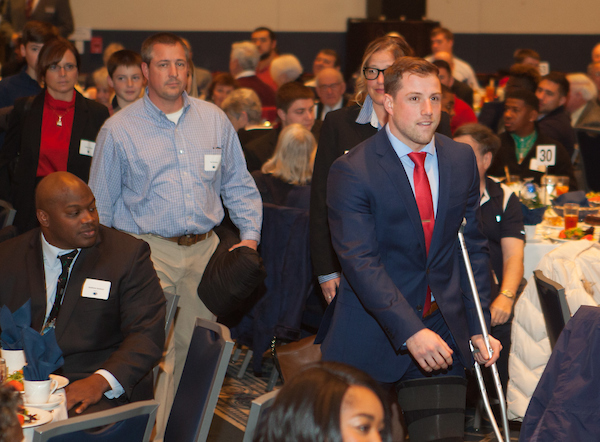 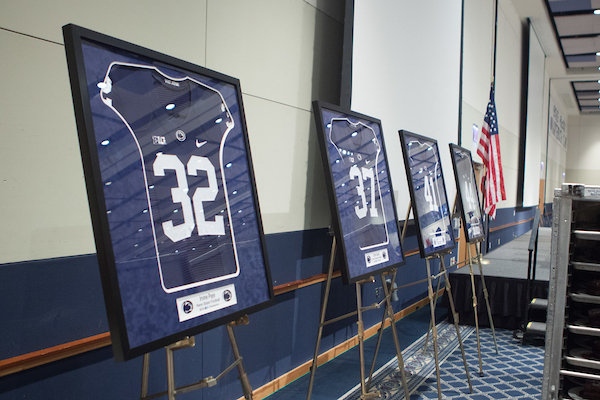 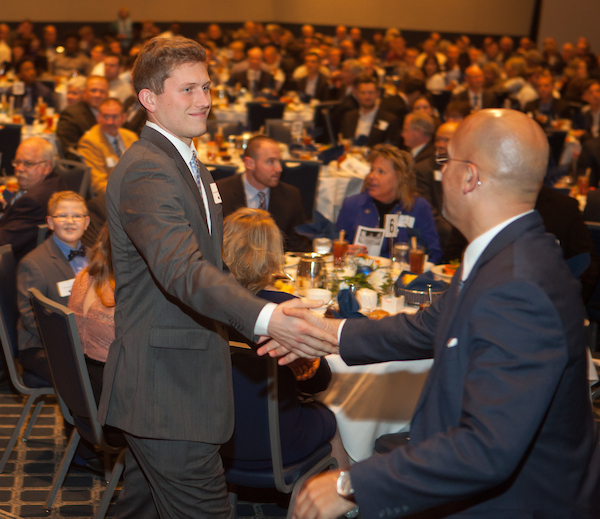 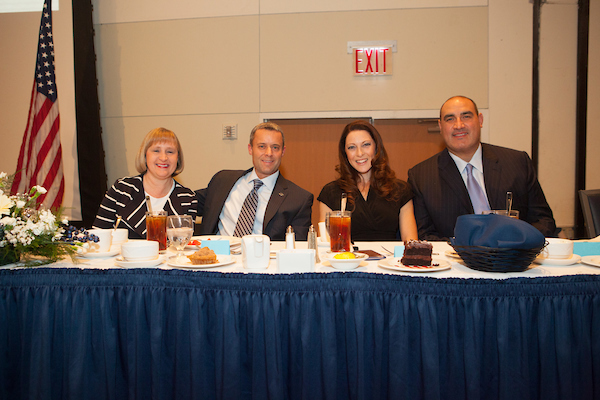 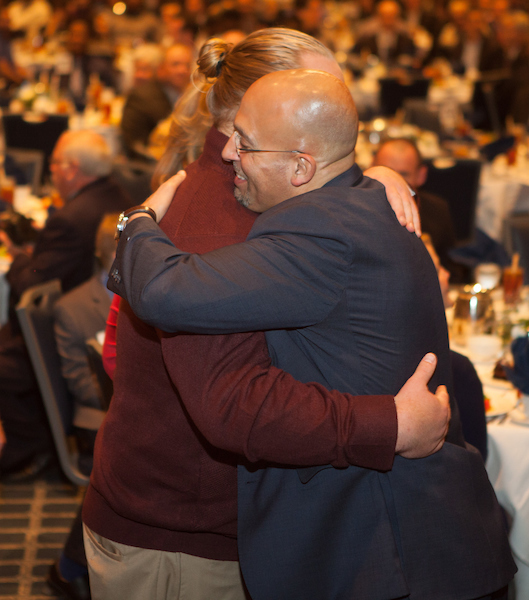 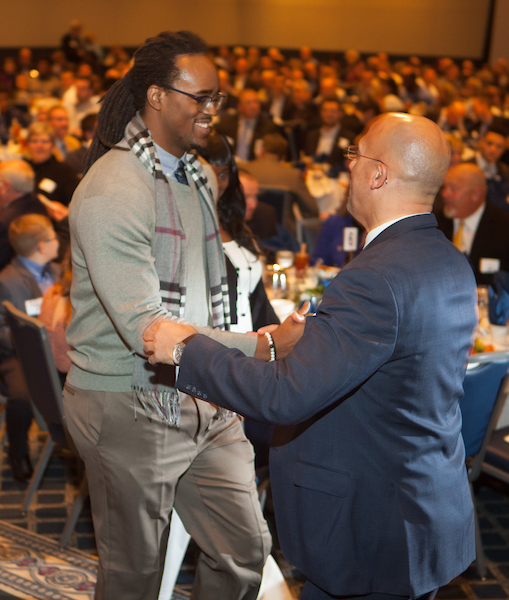 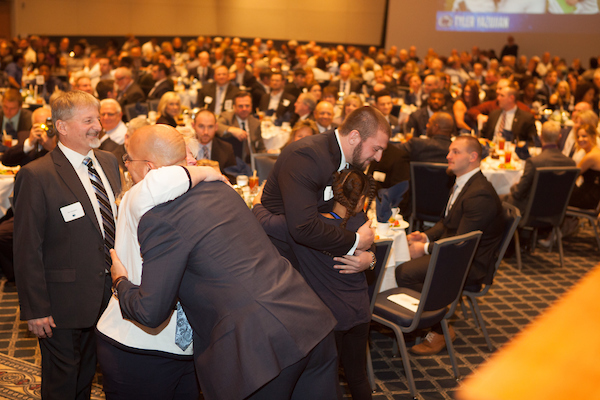 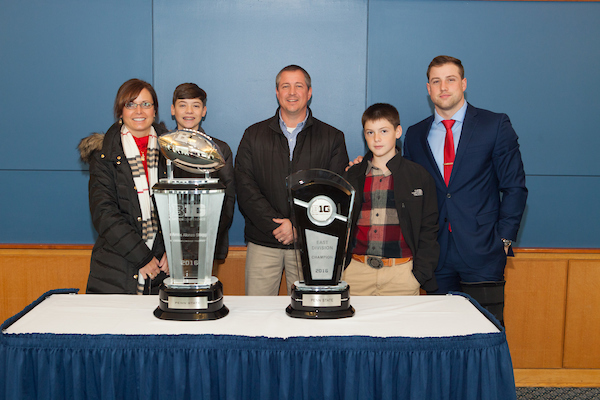 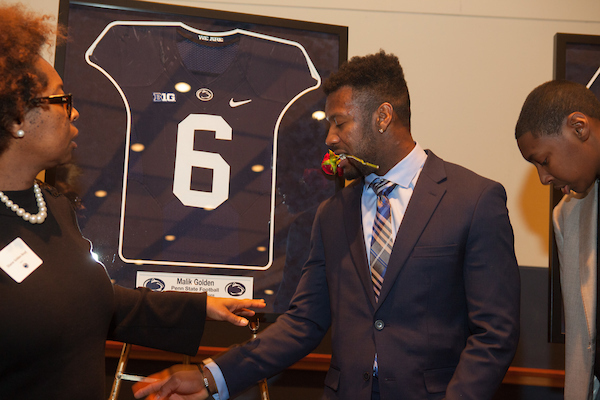 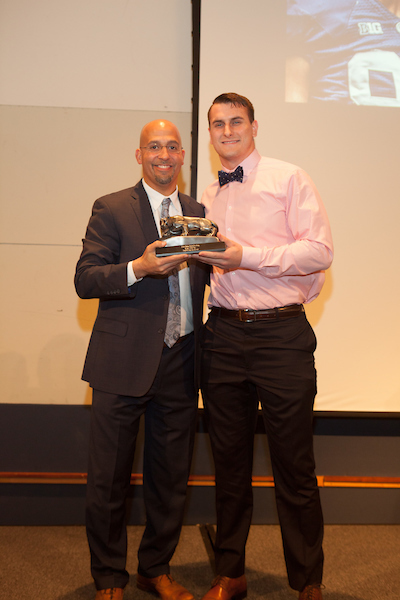 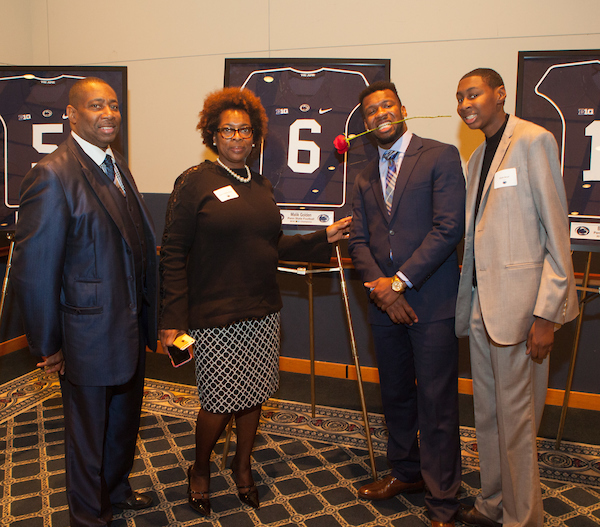 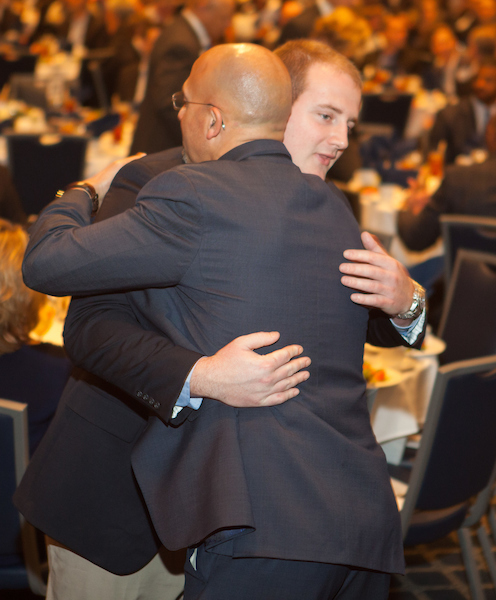 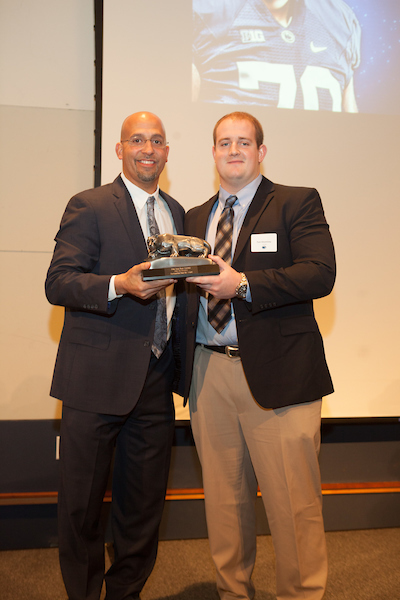 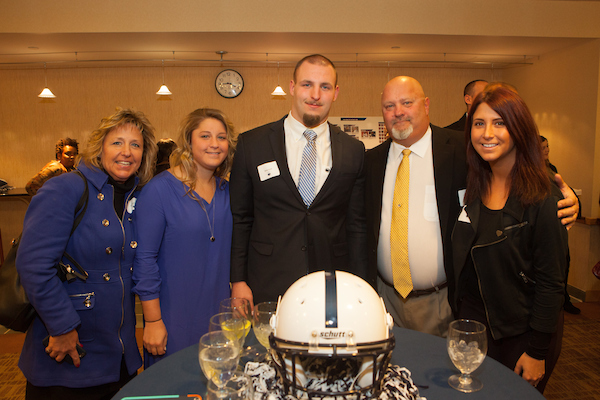 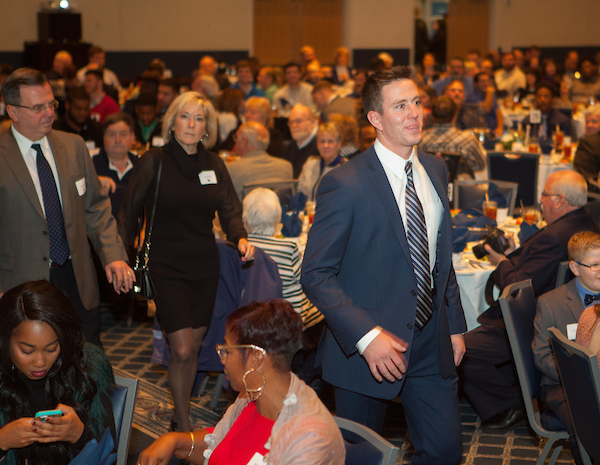 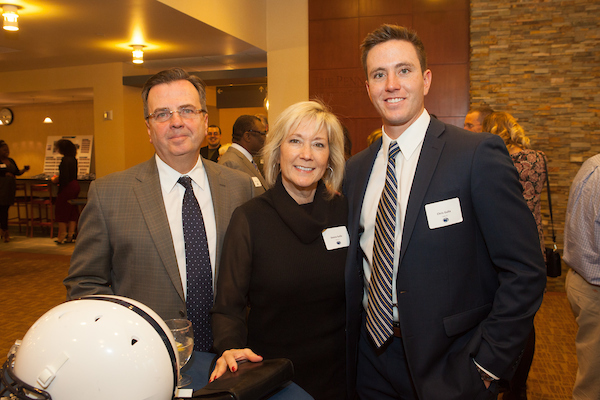 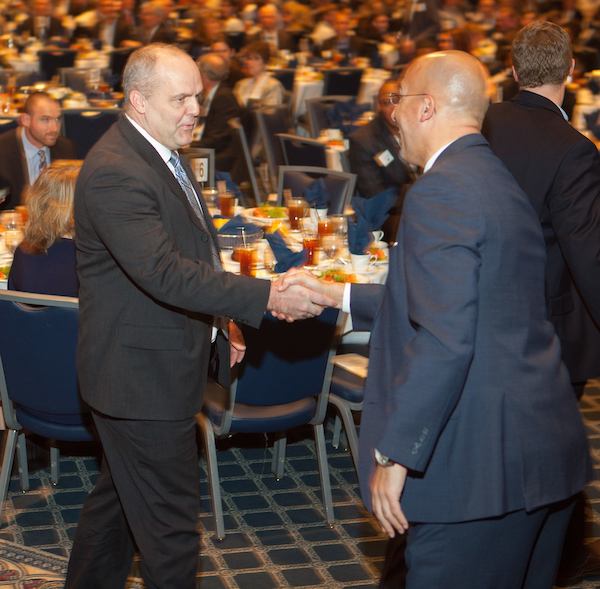 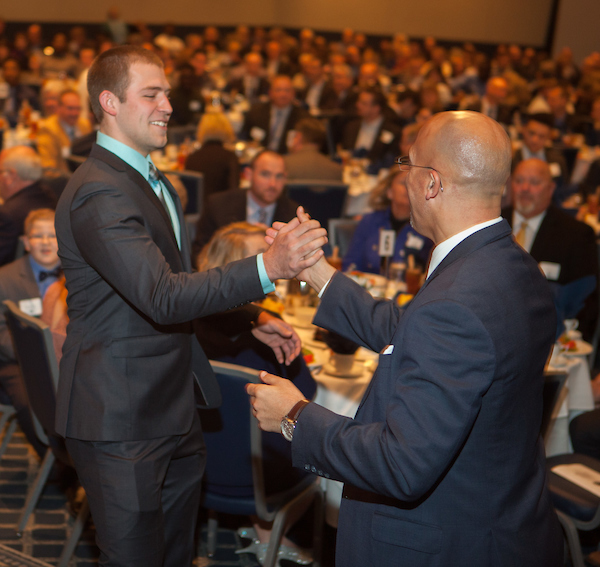 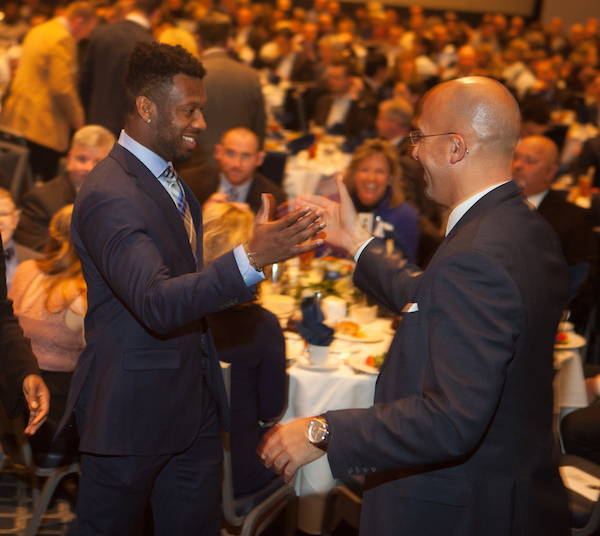 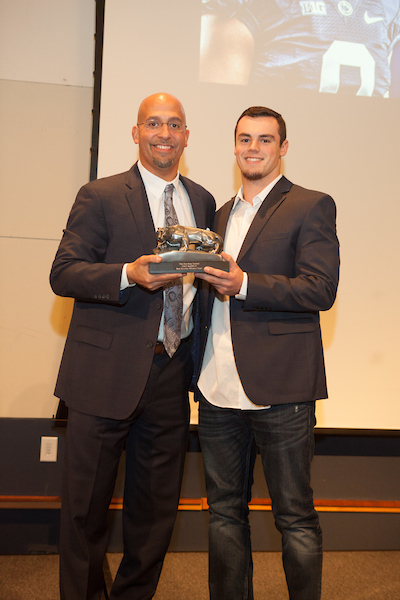 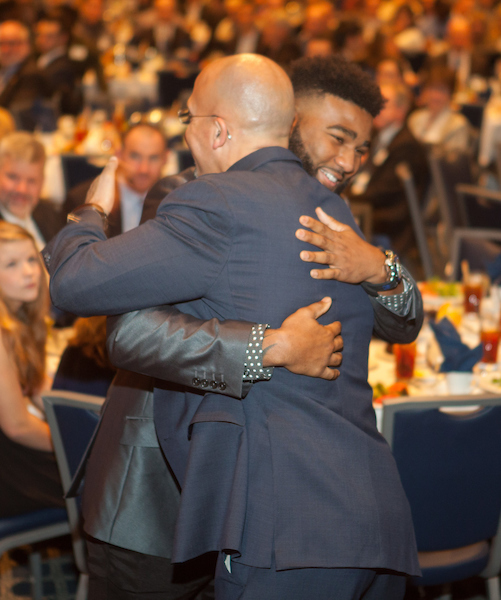 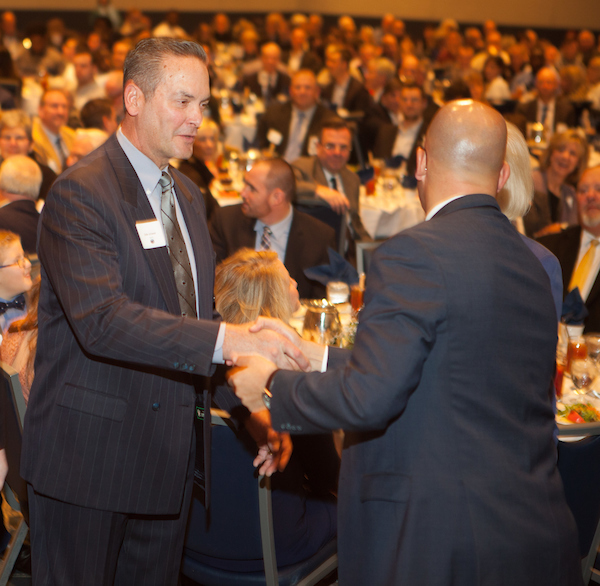 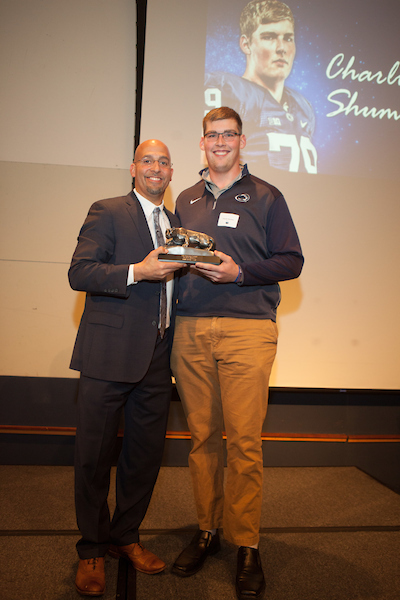 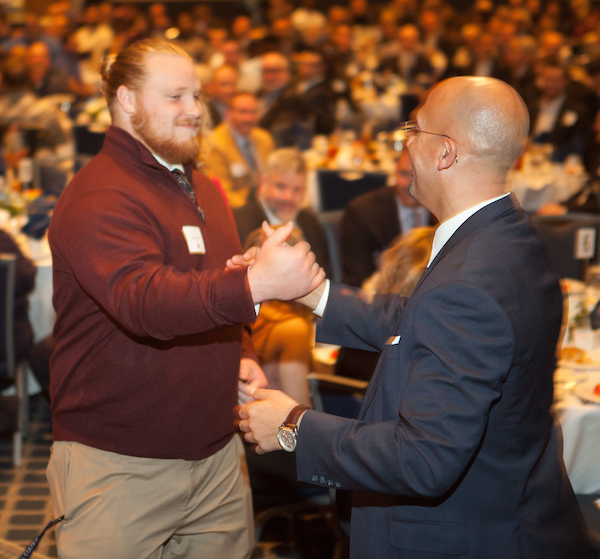 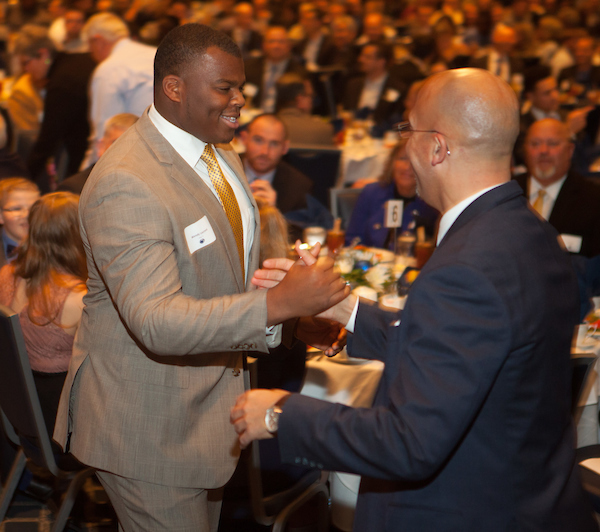 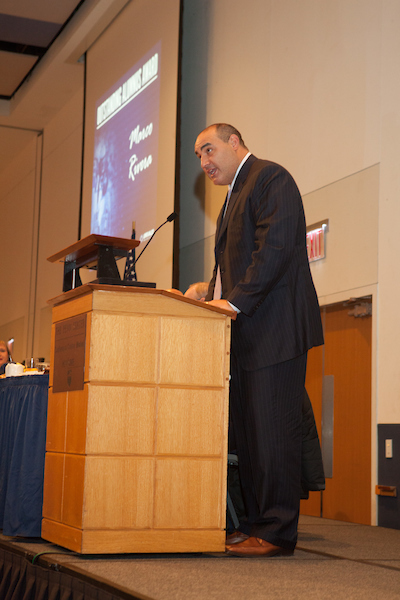 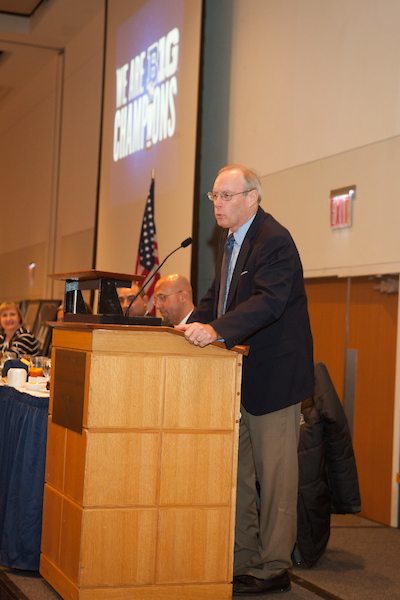 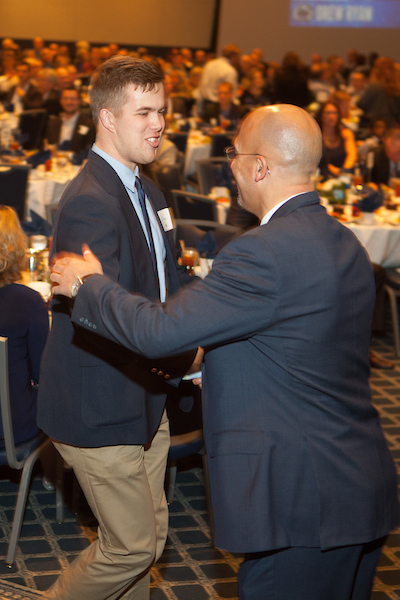 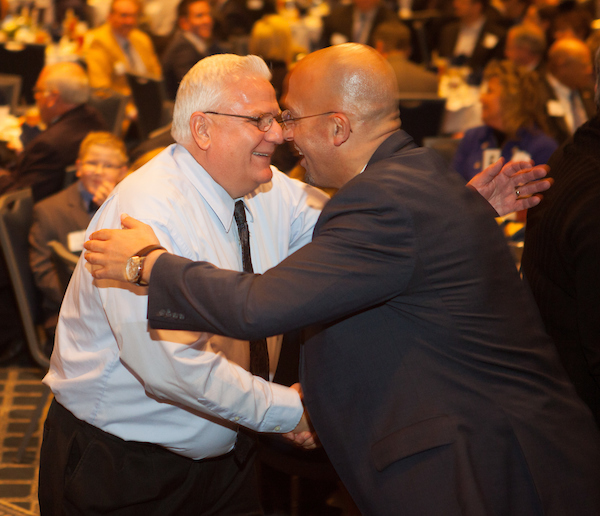 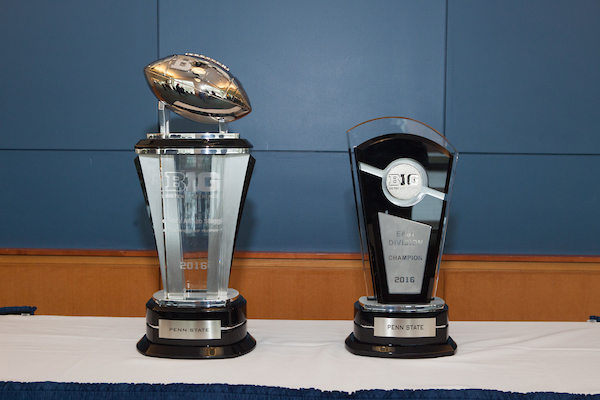 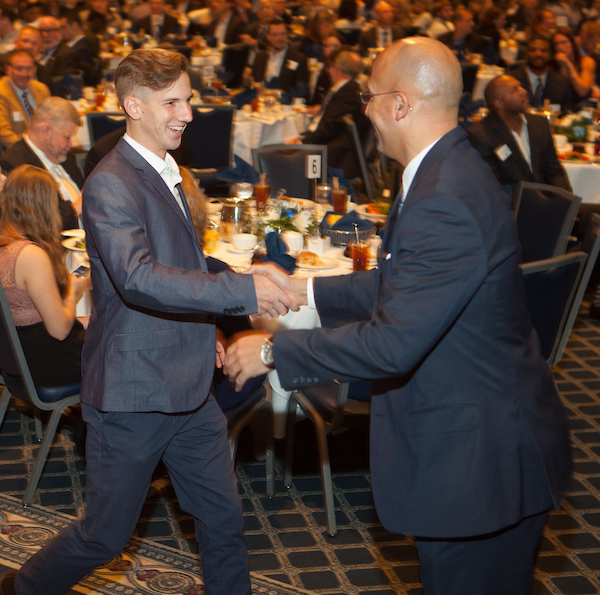 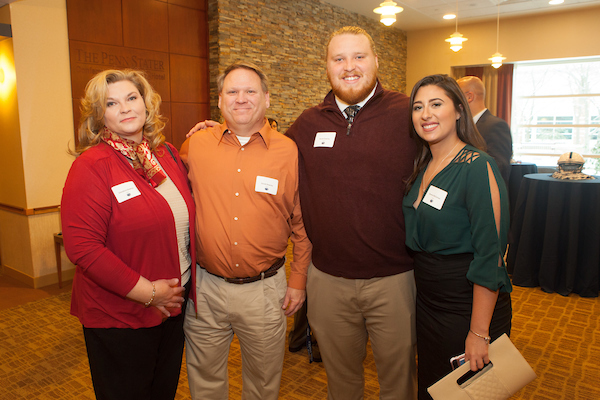 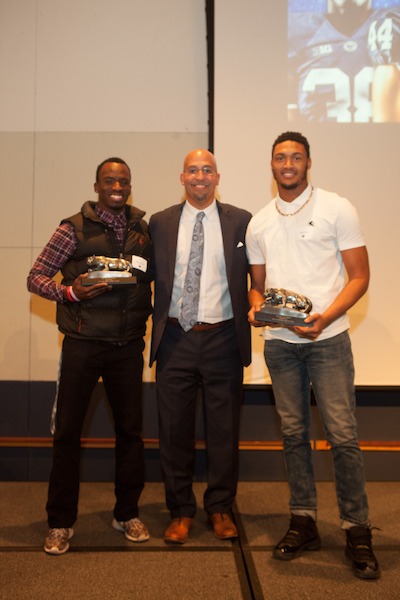 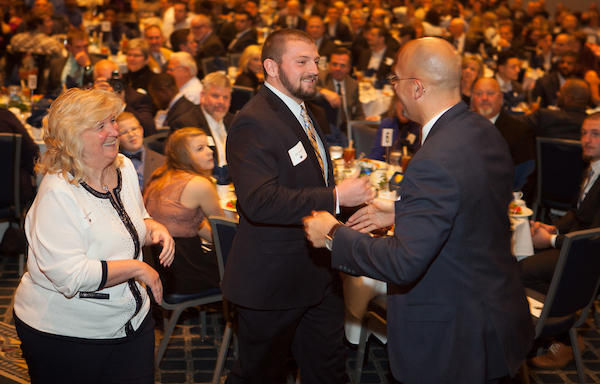 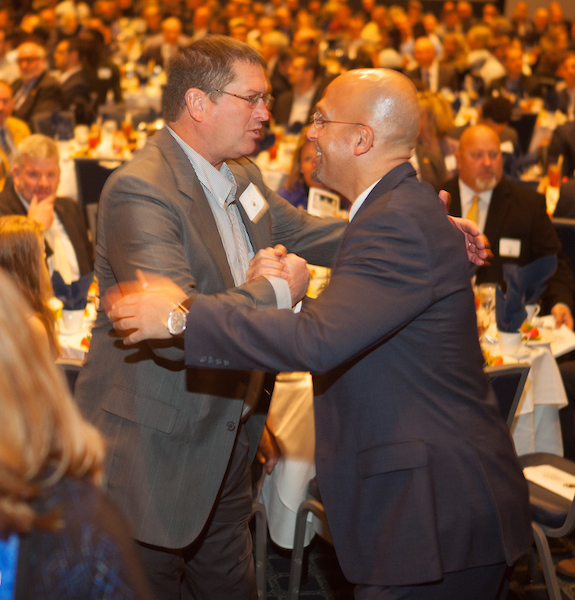 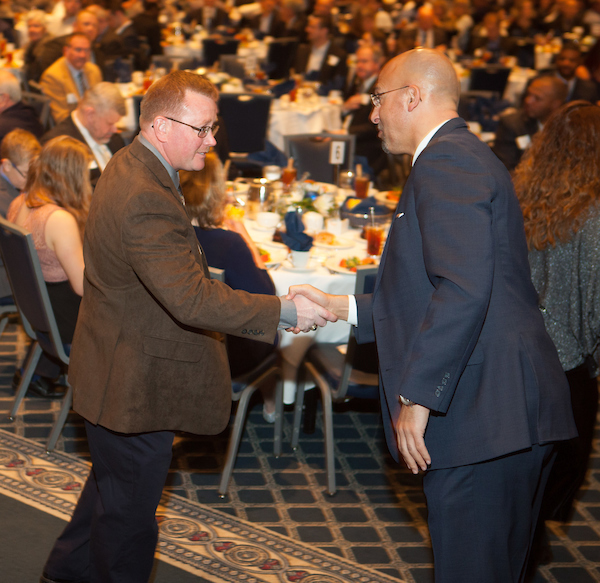 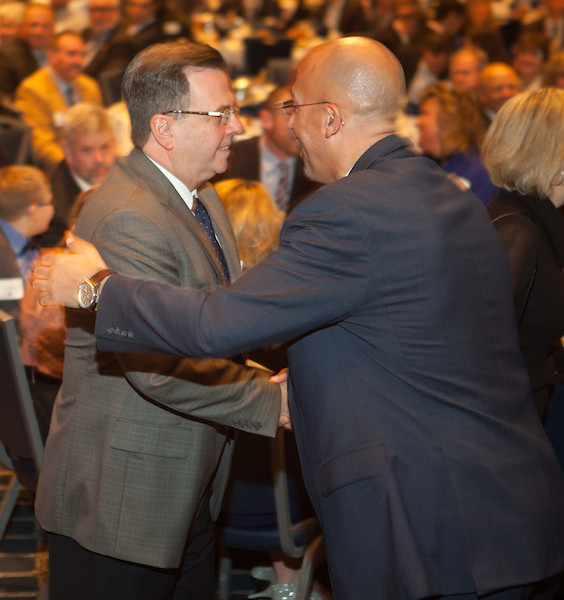 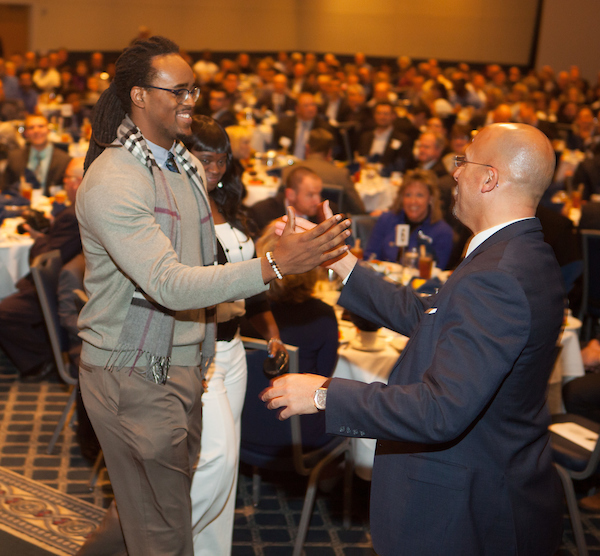 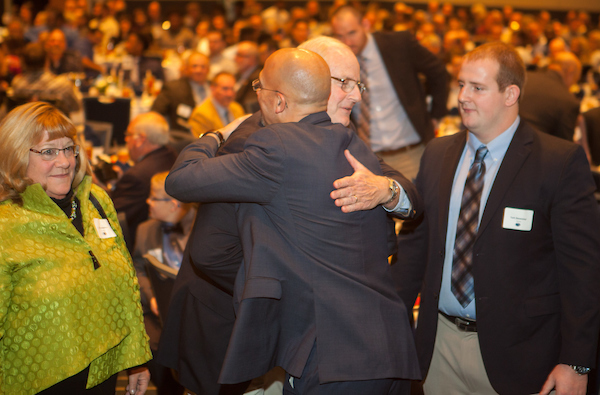 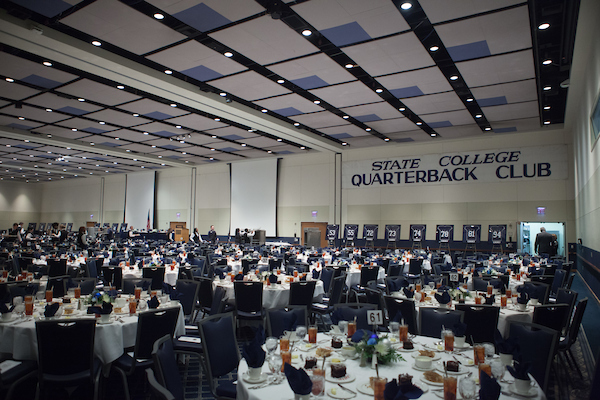 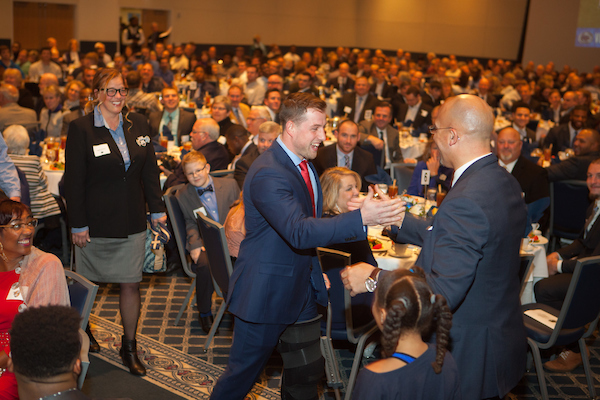 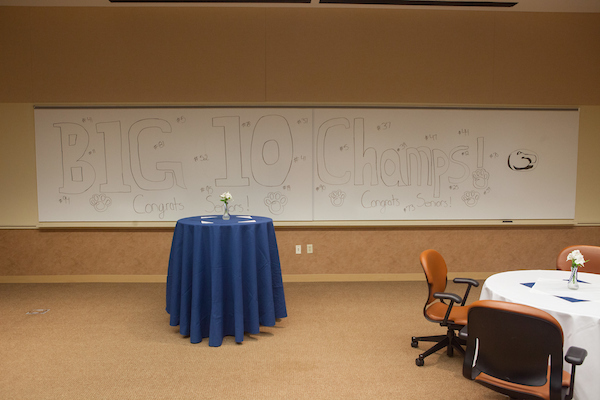 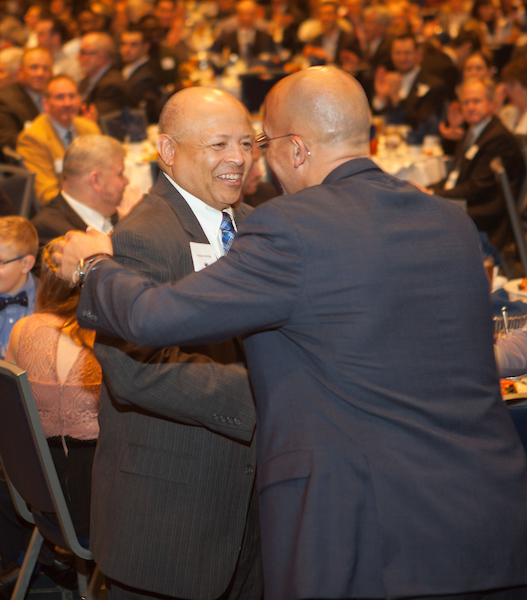 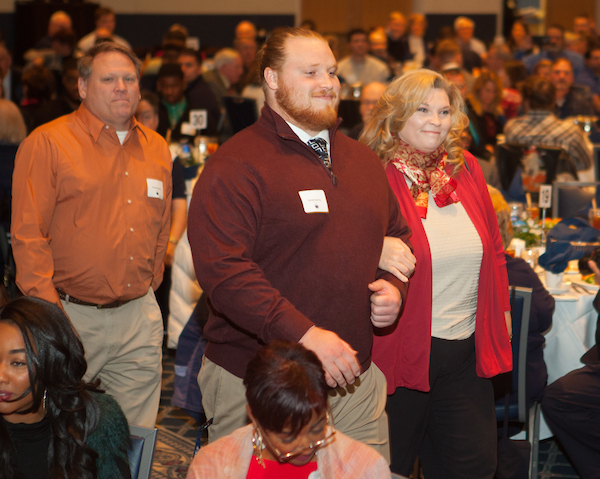 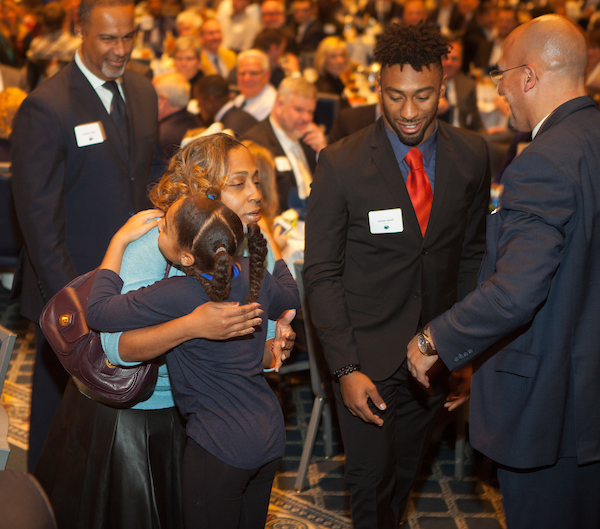 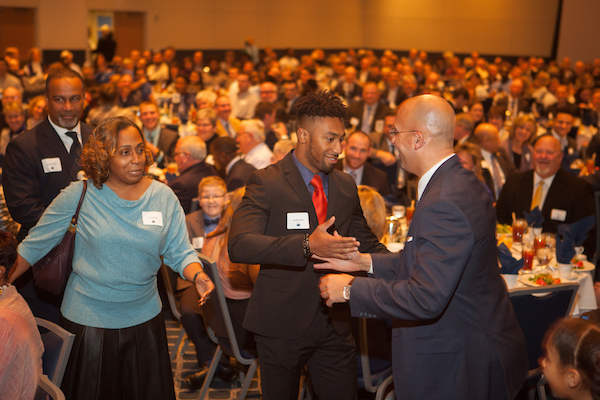 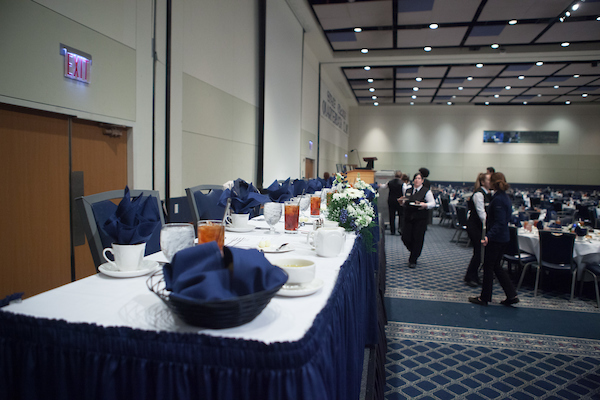 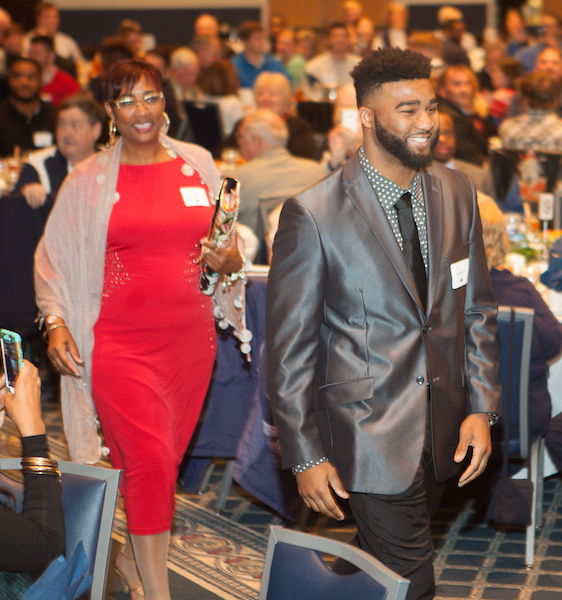 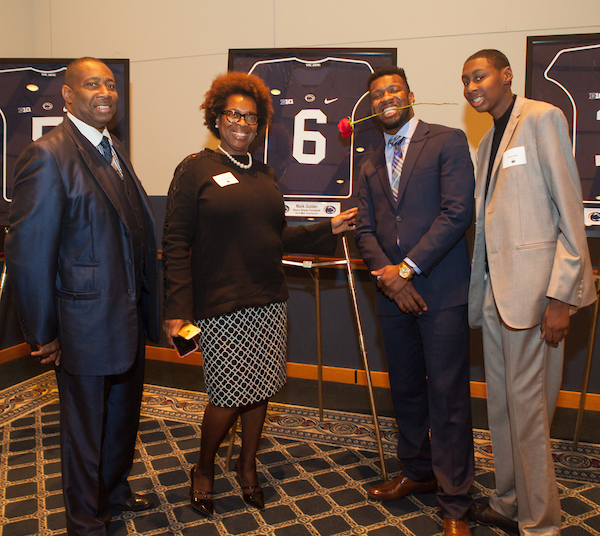 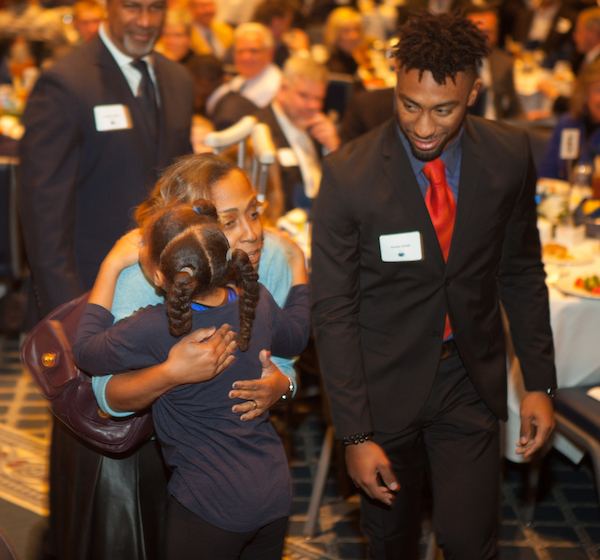 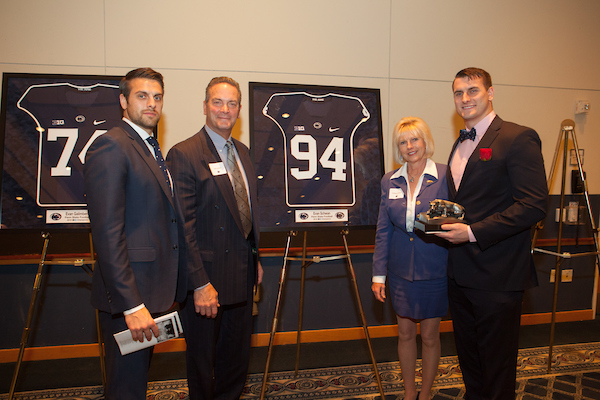 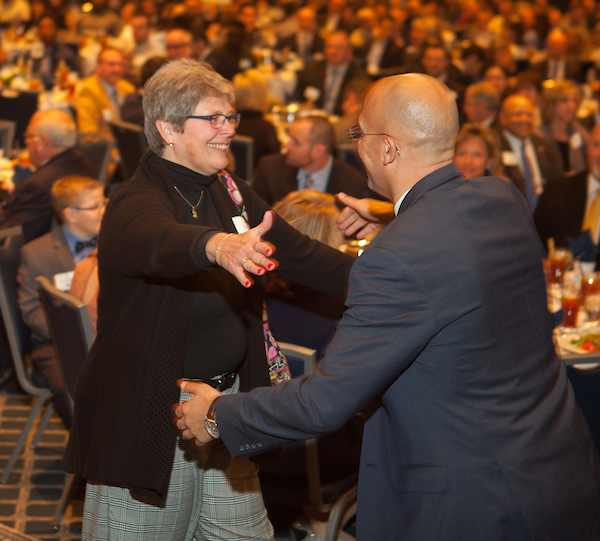 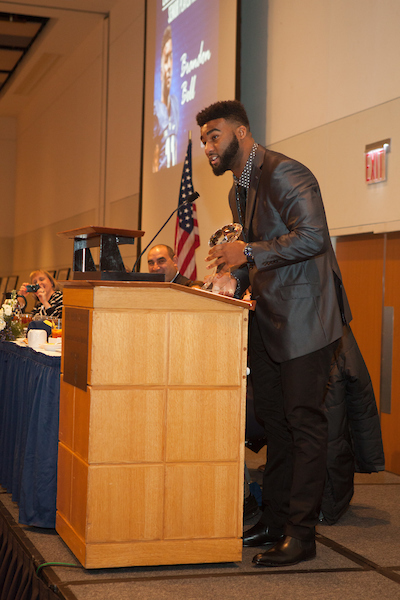 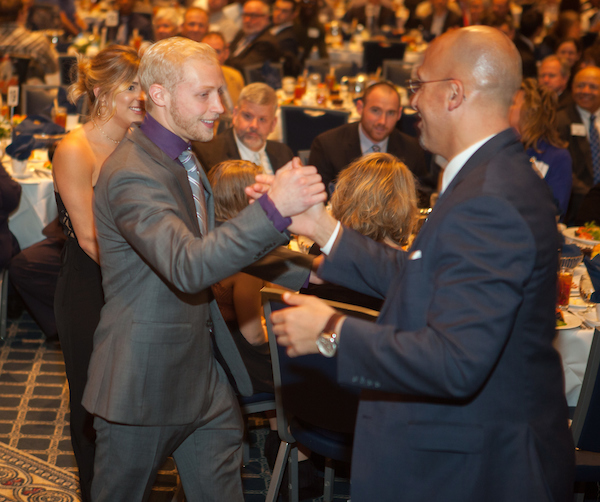 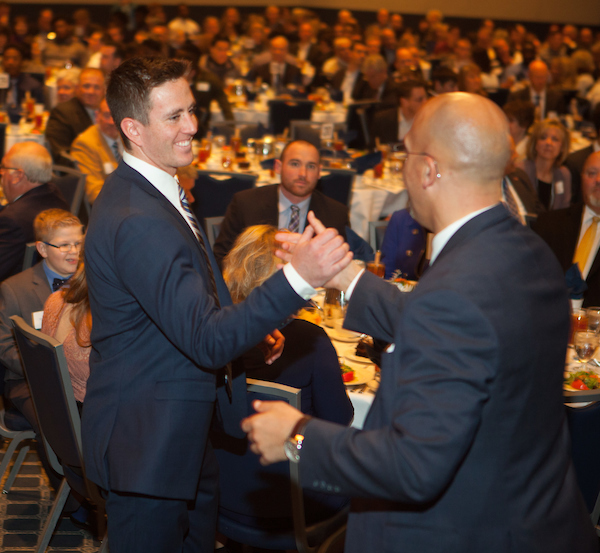 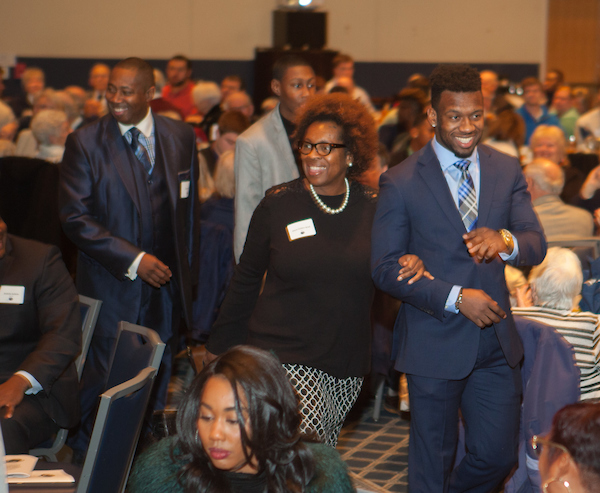 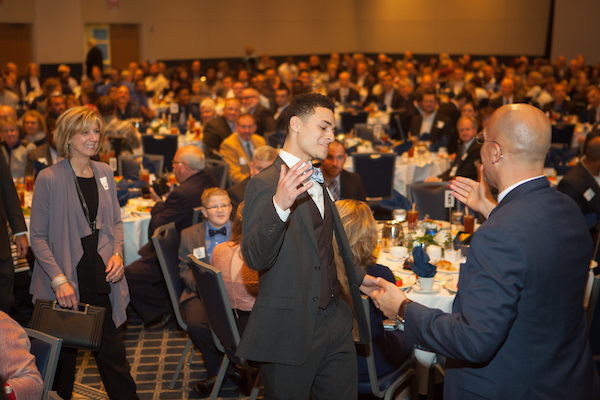 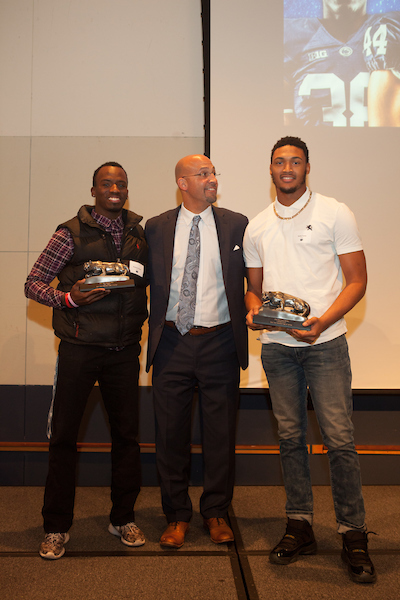 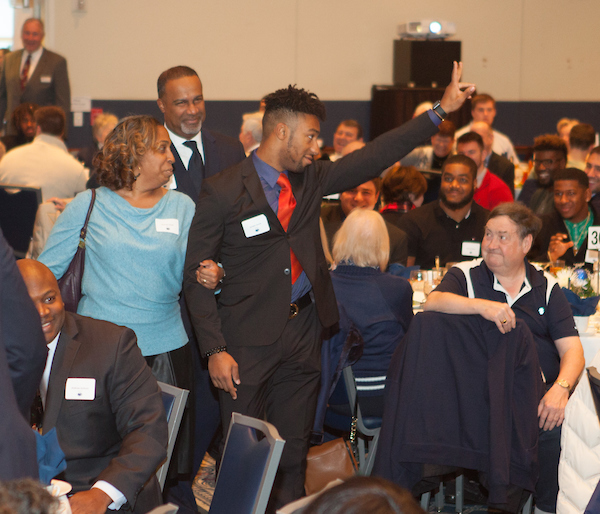 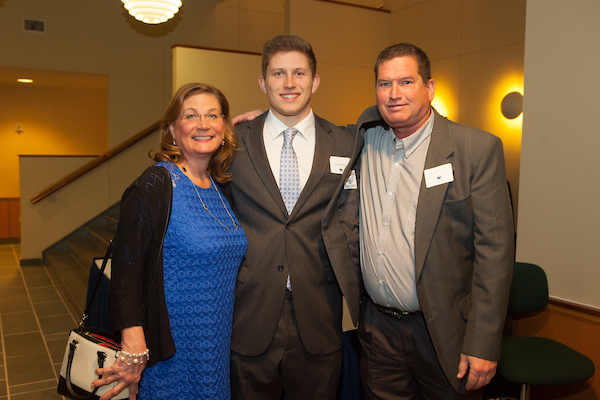 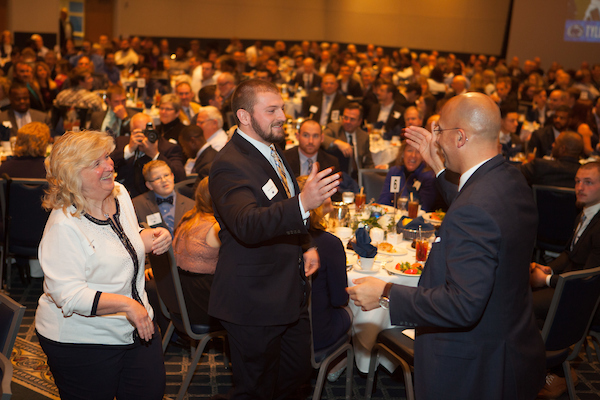 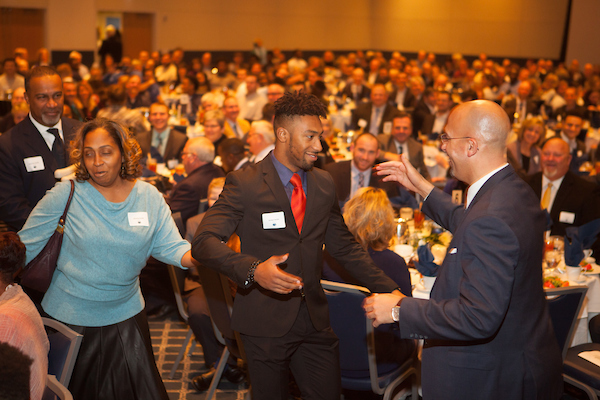 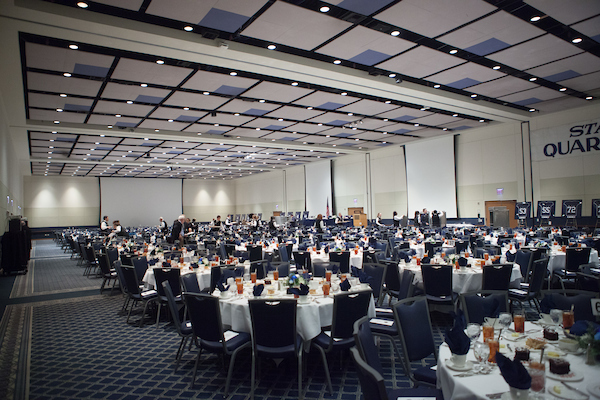 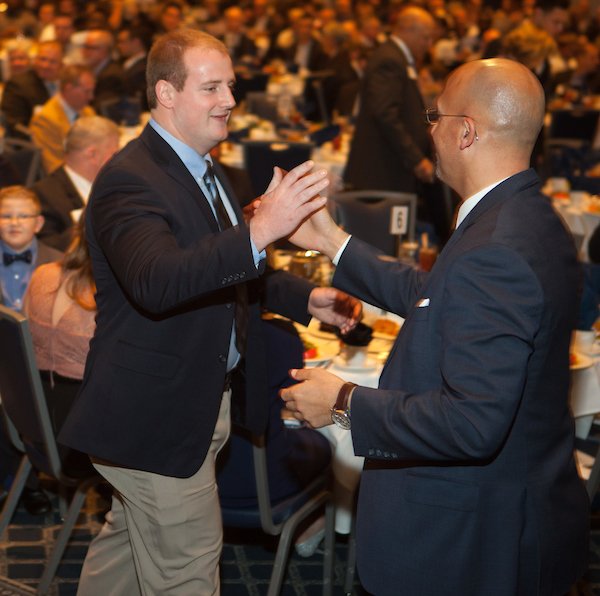 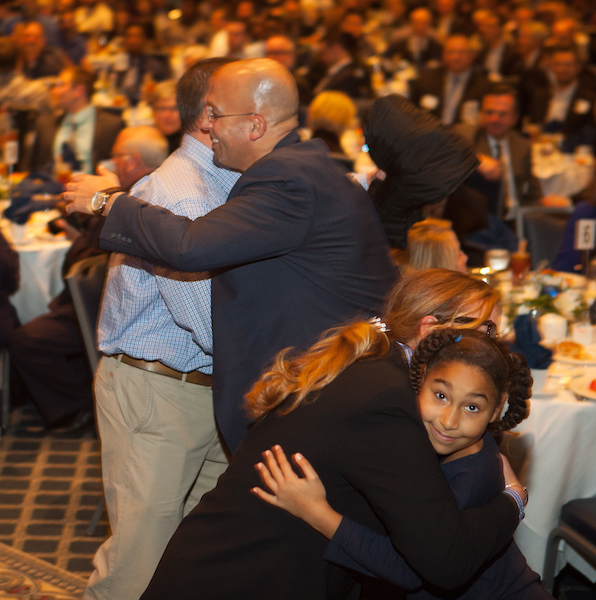 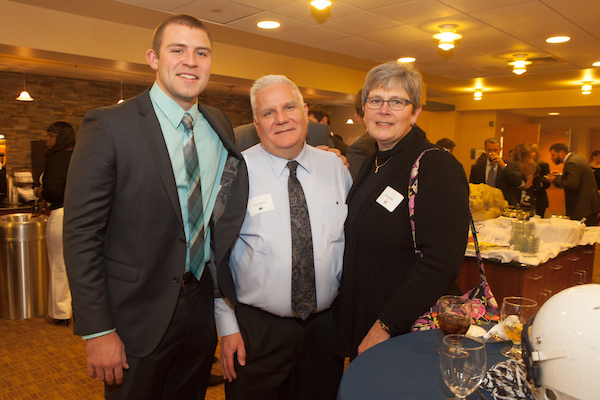 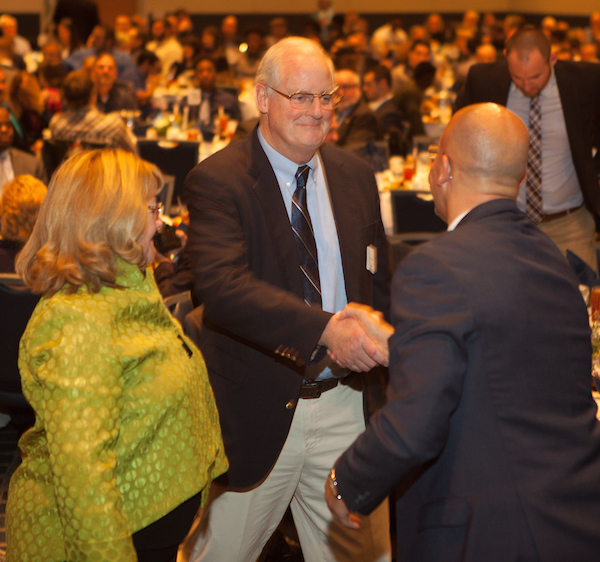 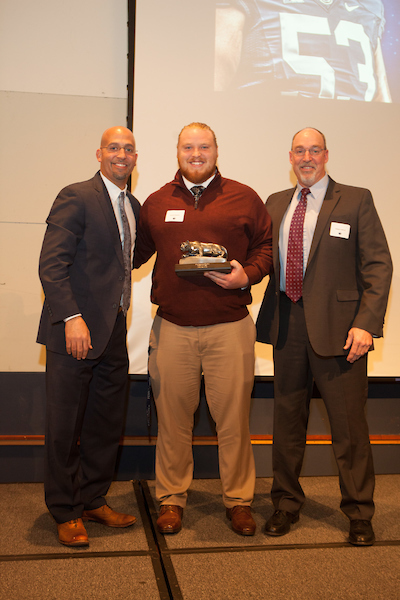 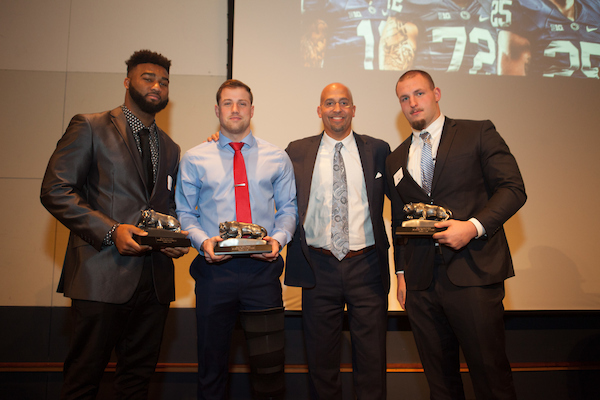 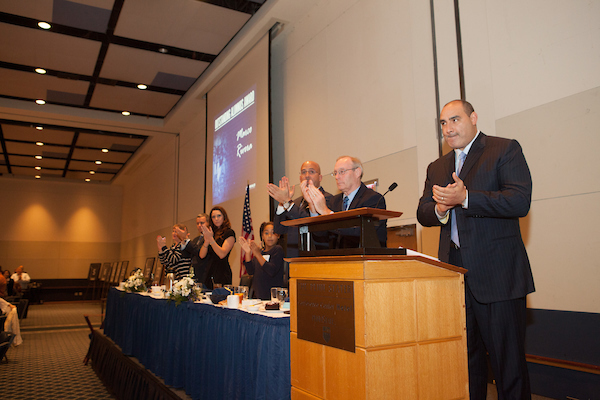 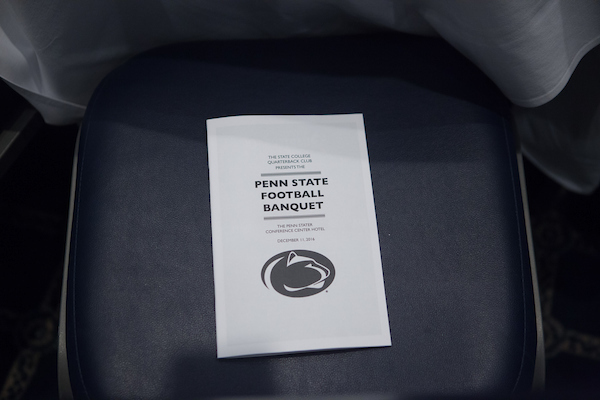 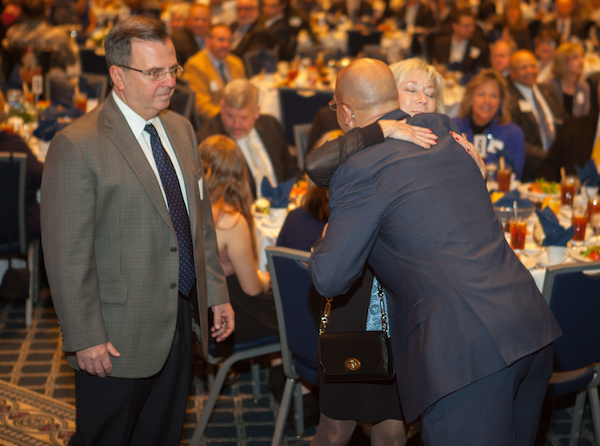 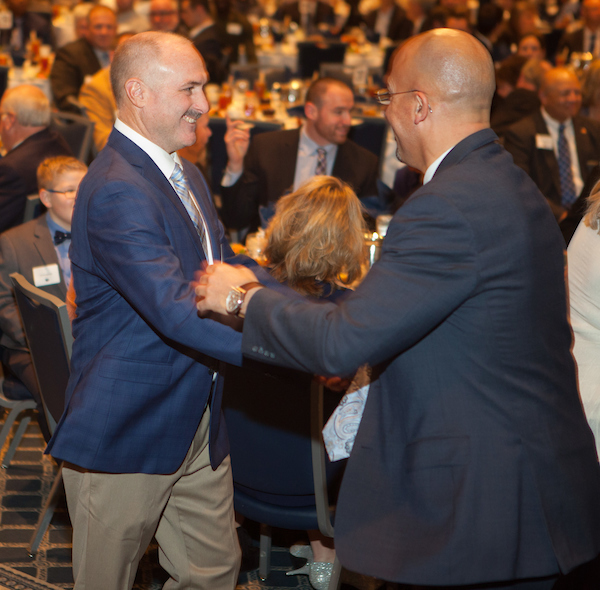 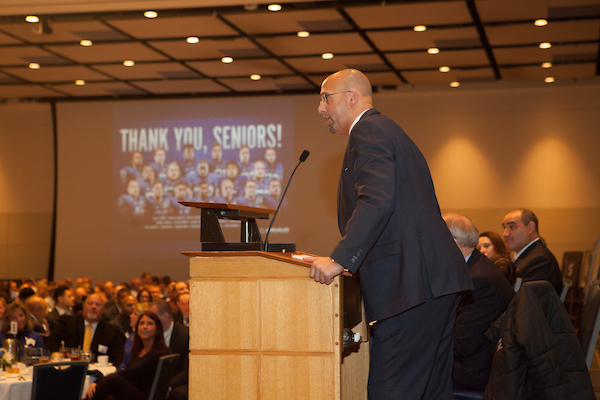 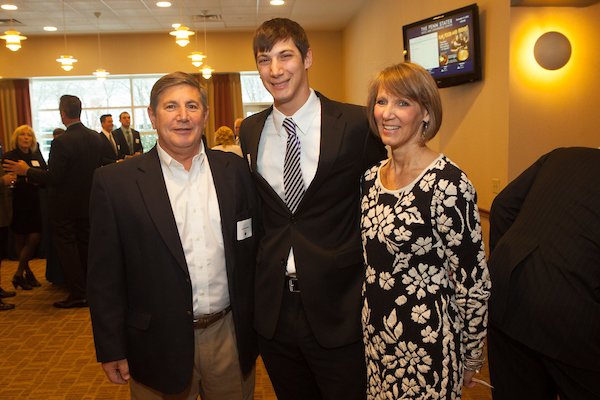 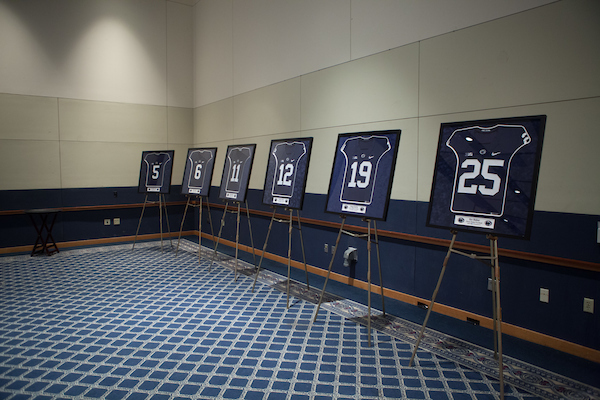 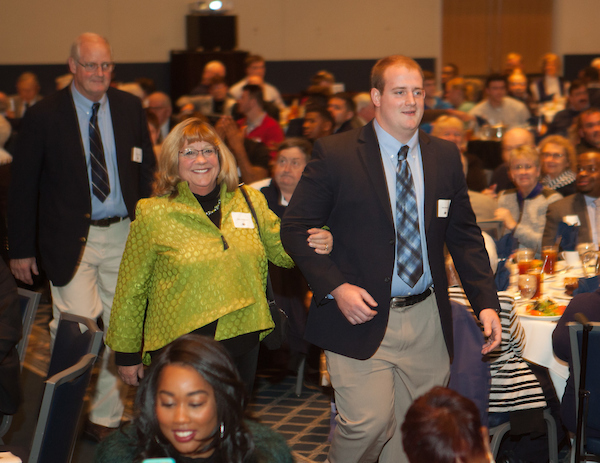 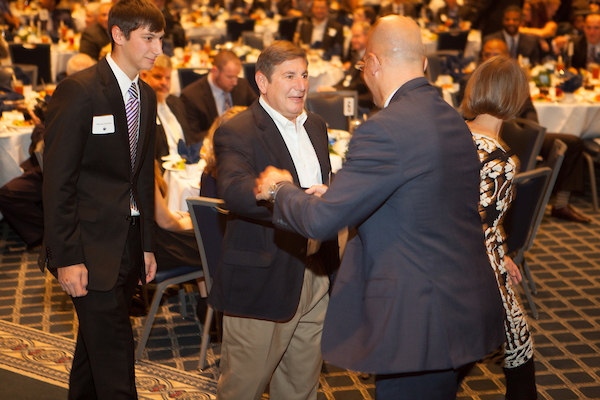 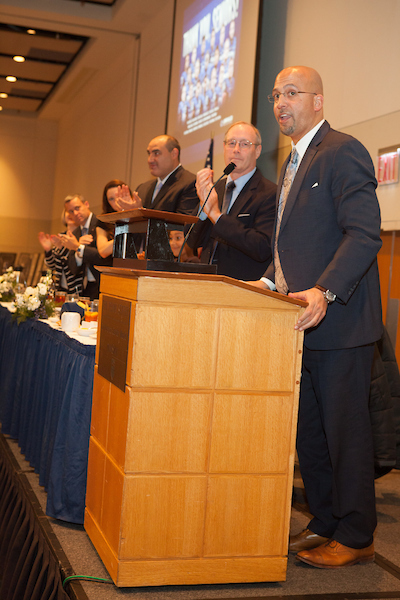 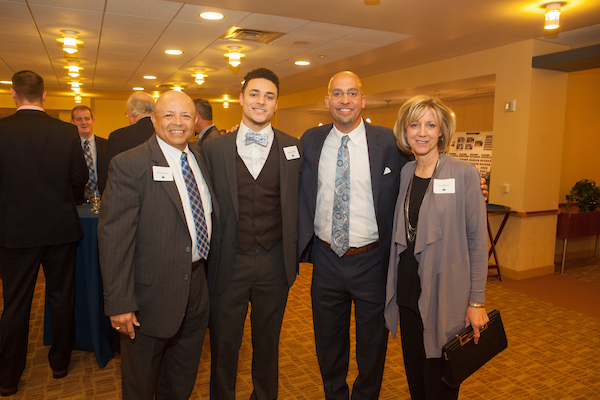 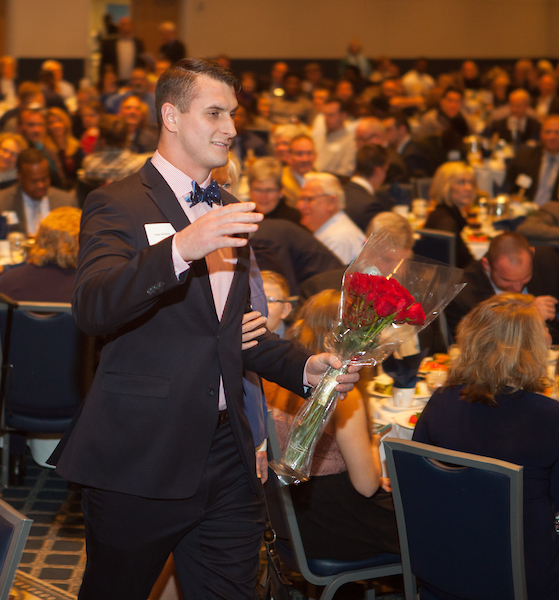 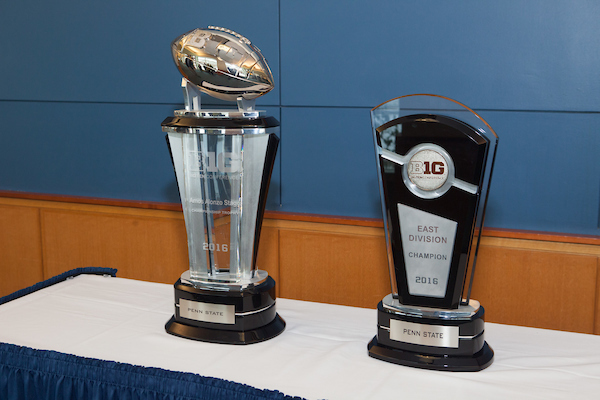 At the end of the season, The Quarterback Club honors the senior football players with an awards banquet to be held at The Penn Stater. 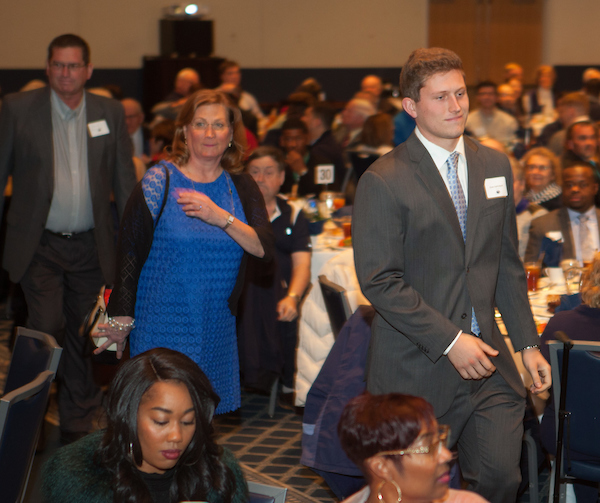 Graduation senior players, along with their families are in attendance as well as various other members of the football team and coaching staff. 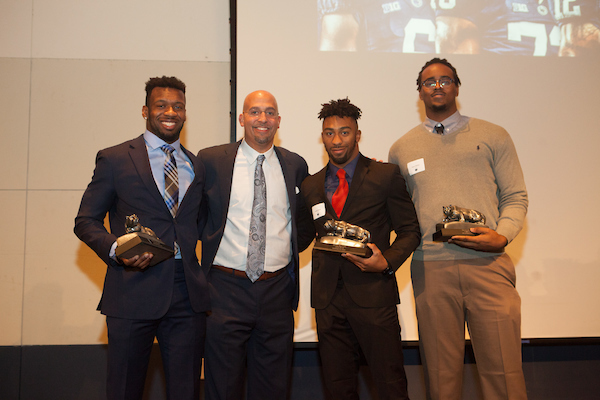 Awards are presented to seniors to recognize a variety of achievements including most valuable player. 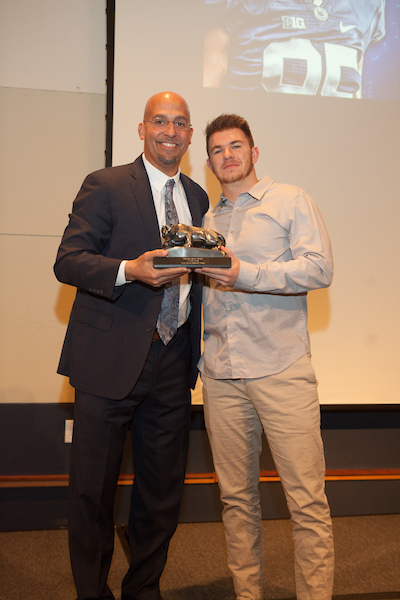 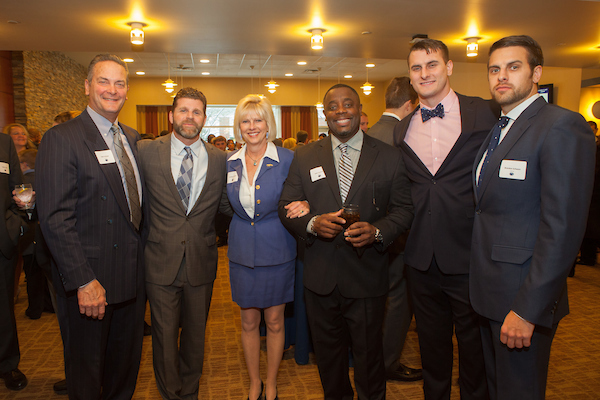 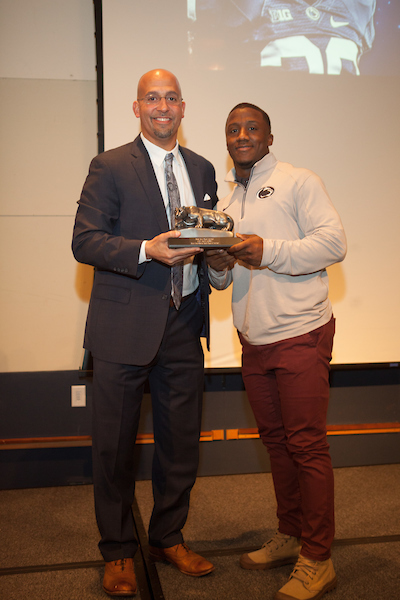 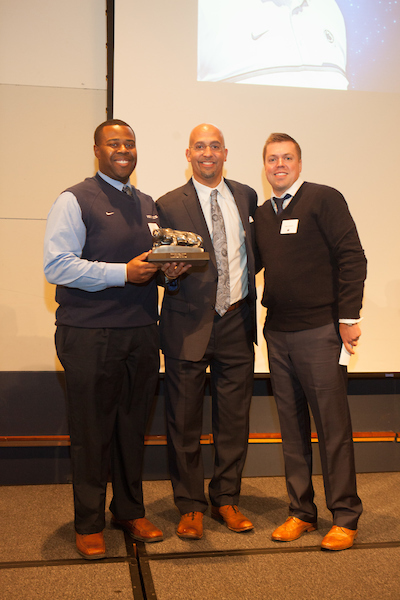 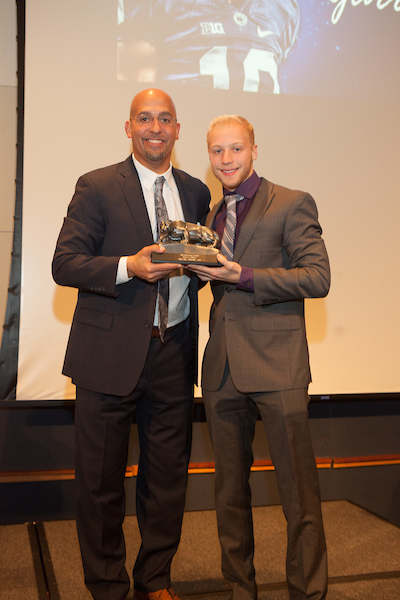 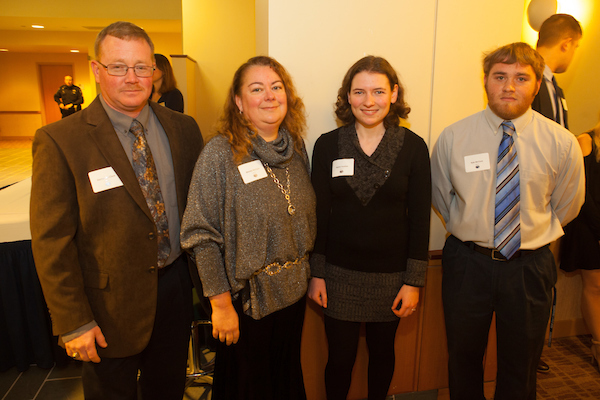 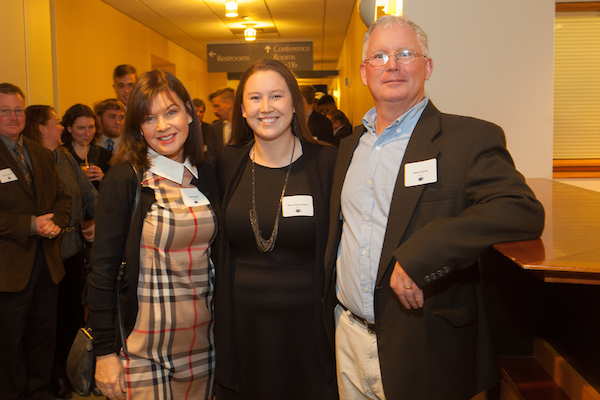 Each year an Alumni Athlete Award is presented in recognition to a former player who has gone on to exemplify excellence and leadership in their field. 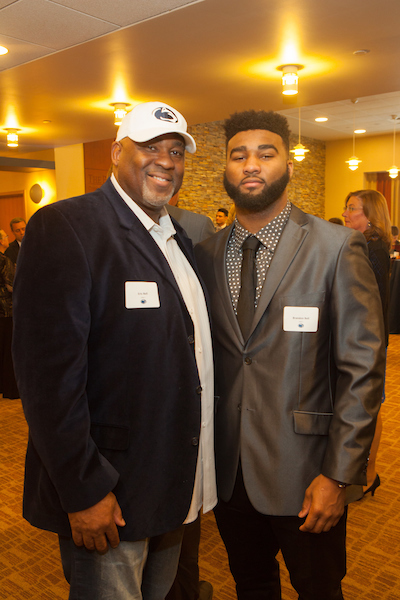 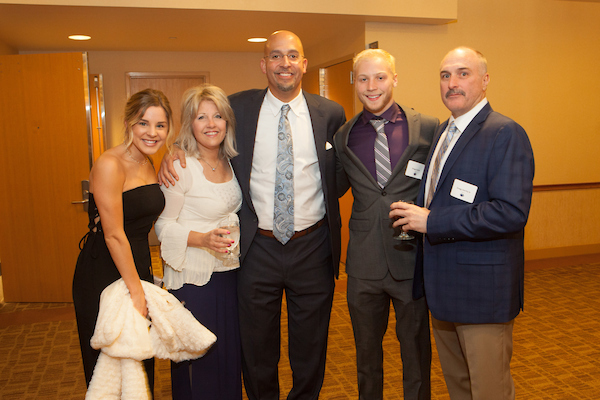 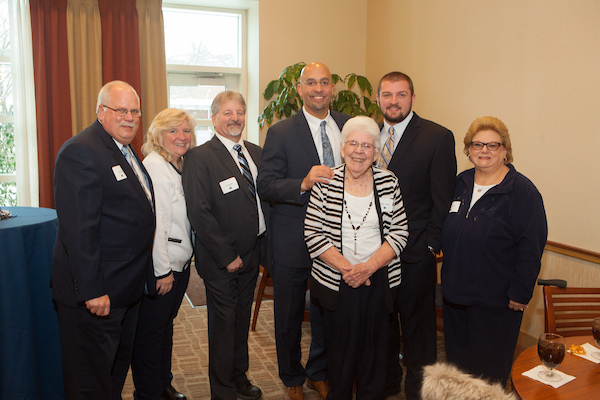 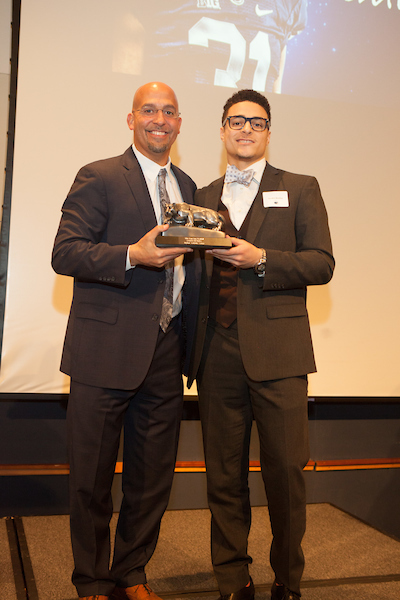 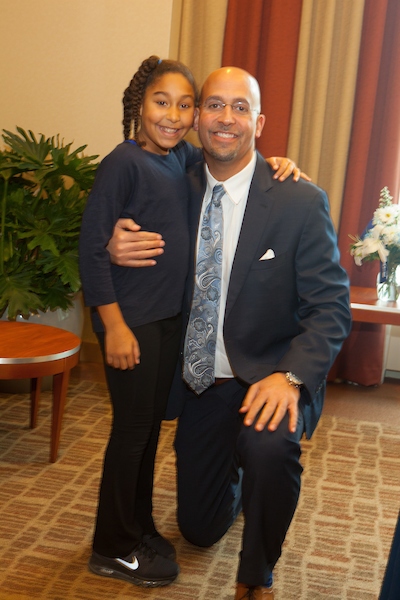 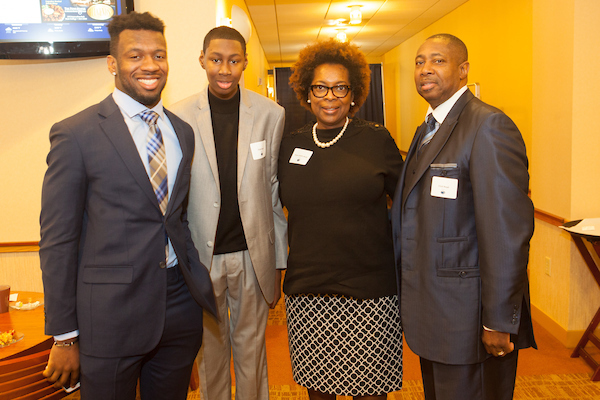 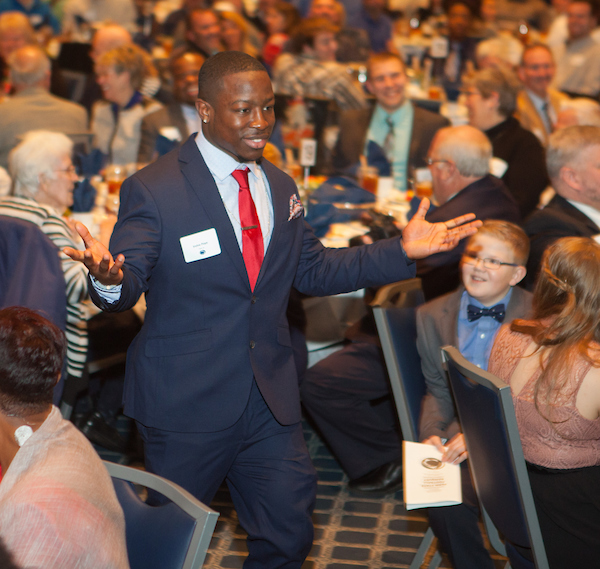 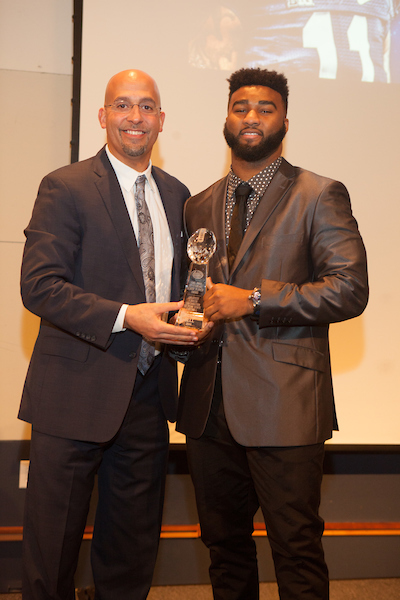 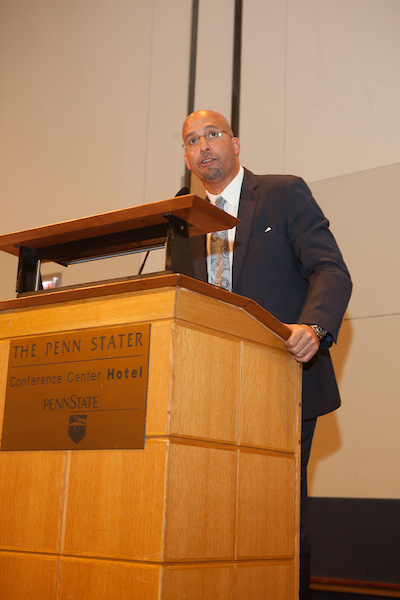 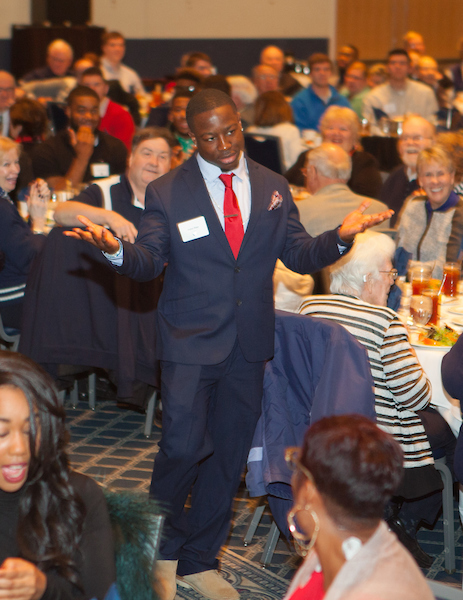 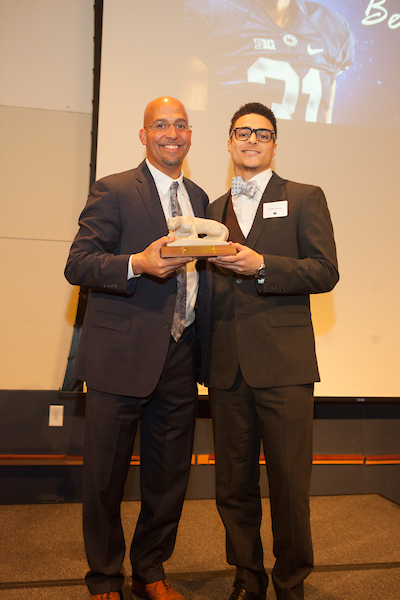 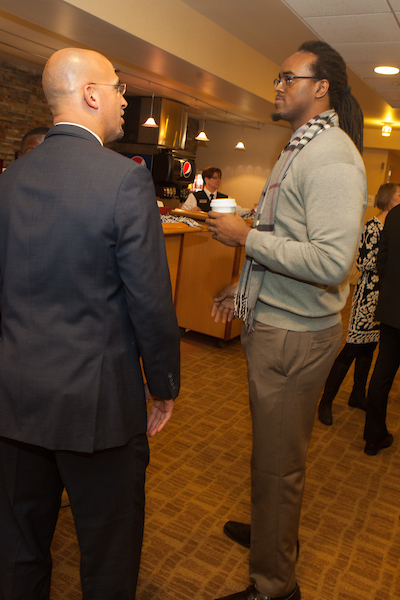 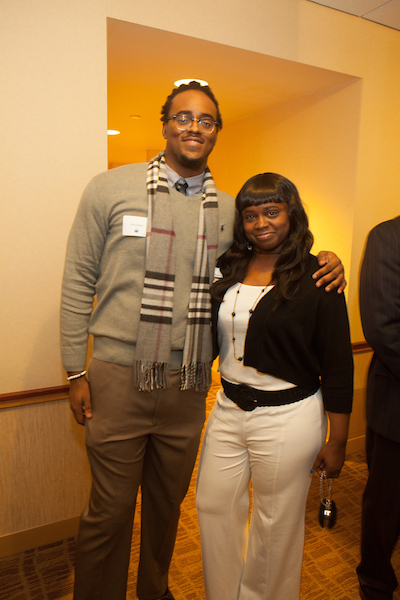 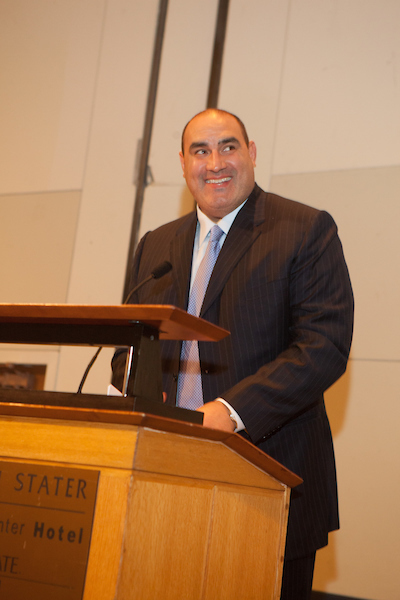 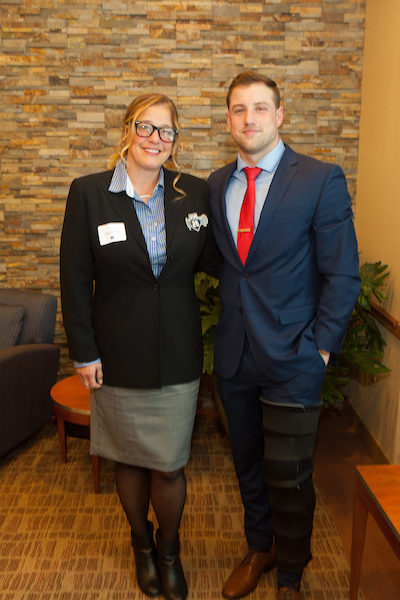 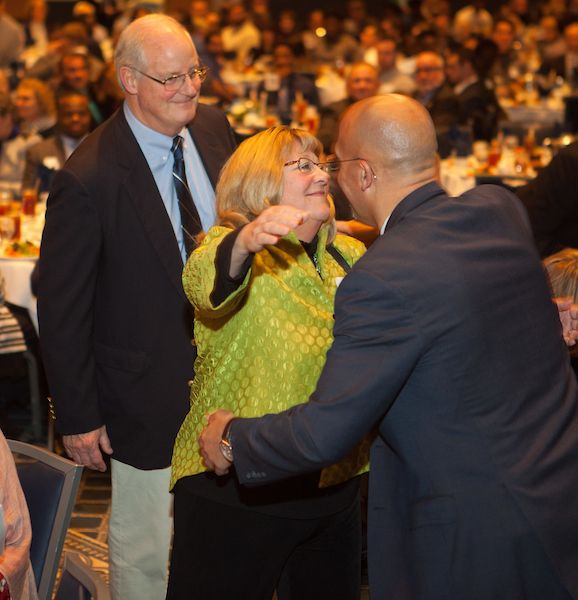 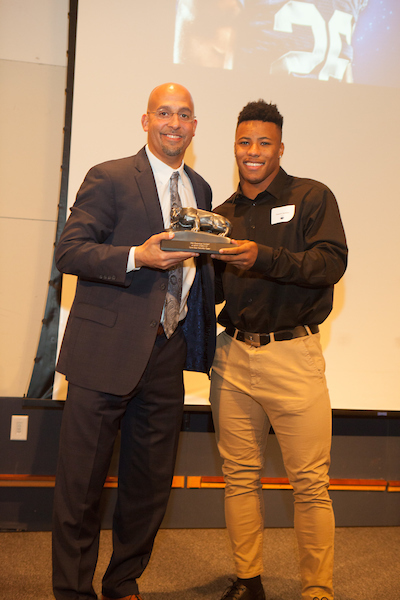 This special guest speaker is invited to address the seniors and offer them motivational advice and and share how their Penn State experience had a positive impact towards their path to success.